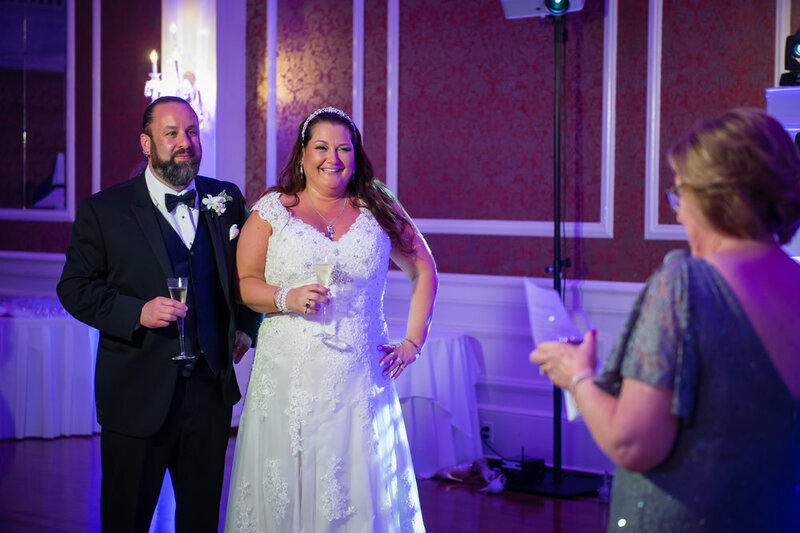 When Kim & Mark met with us they said "We want our guests to walk in and be amazed. " We said, not a problem! 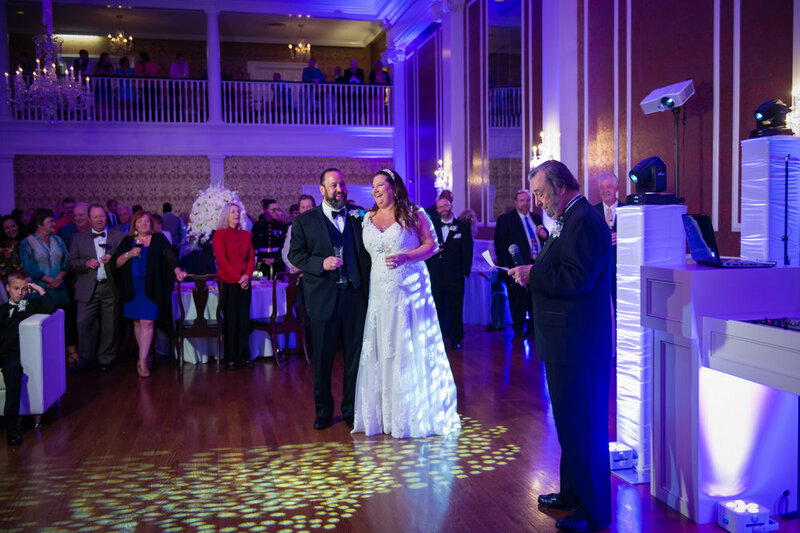 Kim asked to make it feel like their were stars on the ceiling of the Poinsett Club, we made her wish come true. 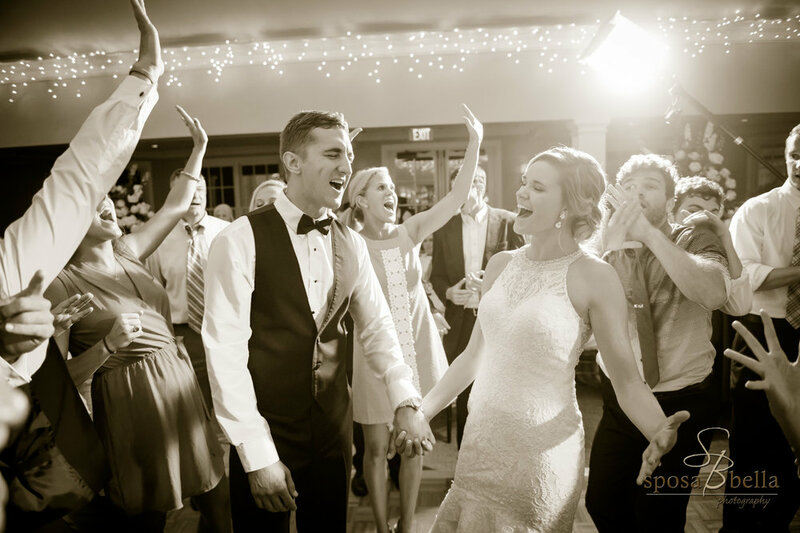 They are a couple who wanted to celebrate in ultimate style. 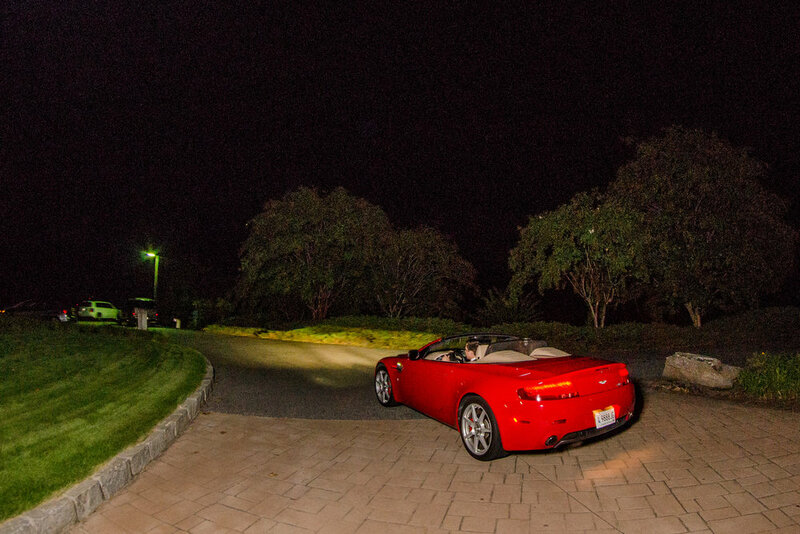 For this we offered our newest set of services, the Luxe Package. 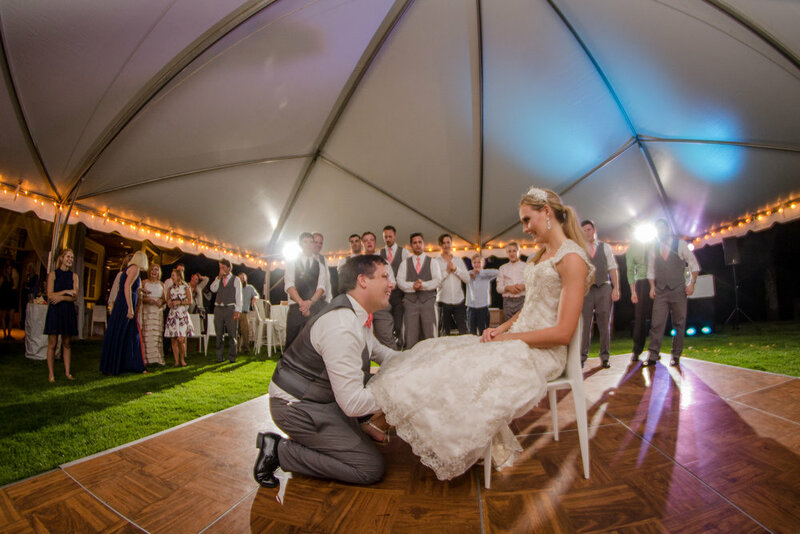 It includes a Custom Built Furniture-Style DJ Booth, Wireless Uplighting, Premium Moving Head Dance Floor Lighting, Premium Sound, MC/DJ Team, and much more! 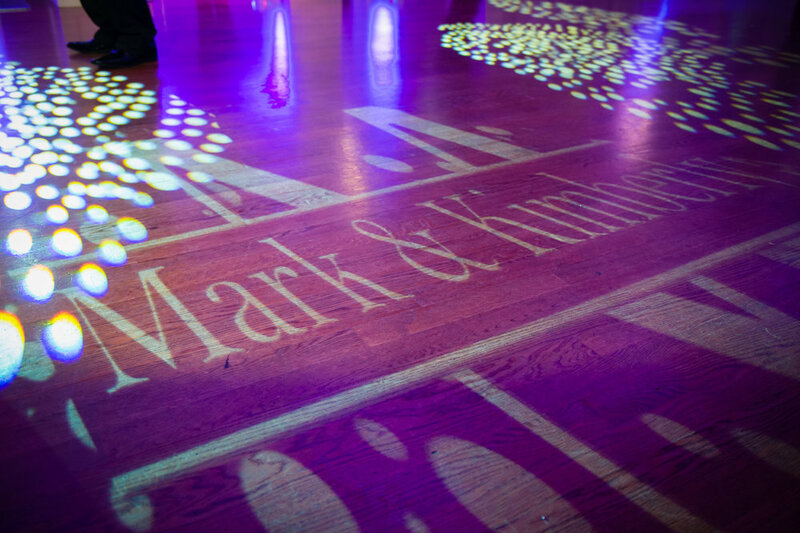 Pairing the Luxe Package with a customized monogram and personalize flood lighting, Mark & Kim received the perfect blend of technology and wedding elegance. 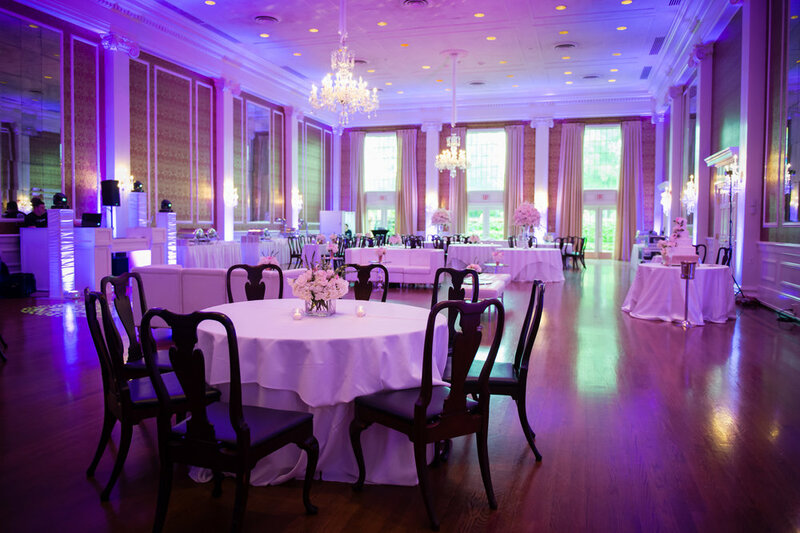 To match with the personalization of the room, Mark & Kim put together several special elements to wow their guests even further. 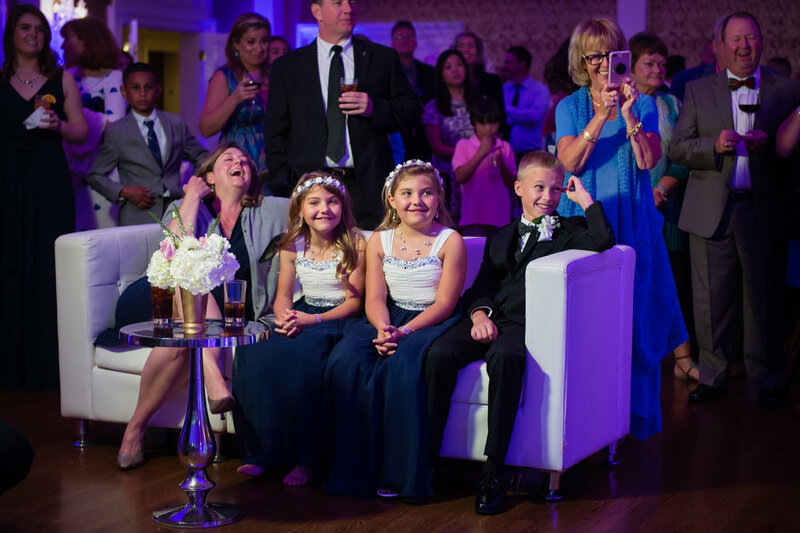 What better way then to keep the kids entertained then their own special table with activites galore! 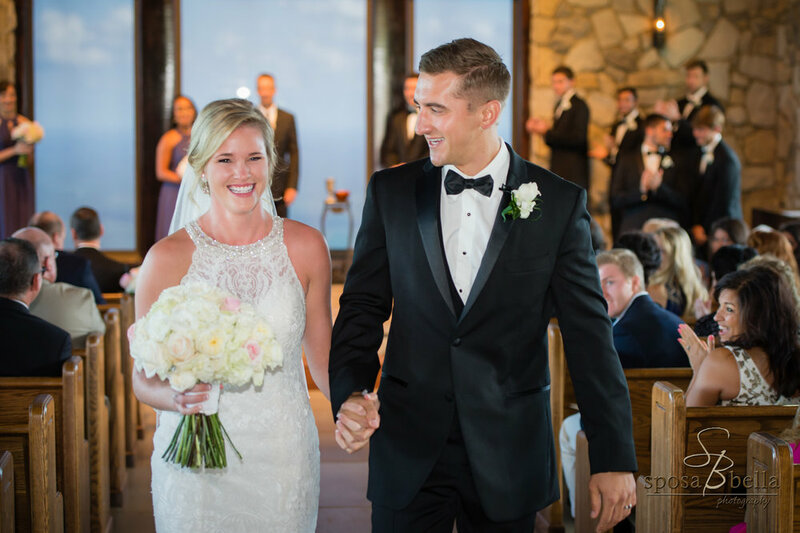 Kim & Mark made their grand entrance into the color-filled room and began their long awaited first dance as husband & wife. 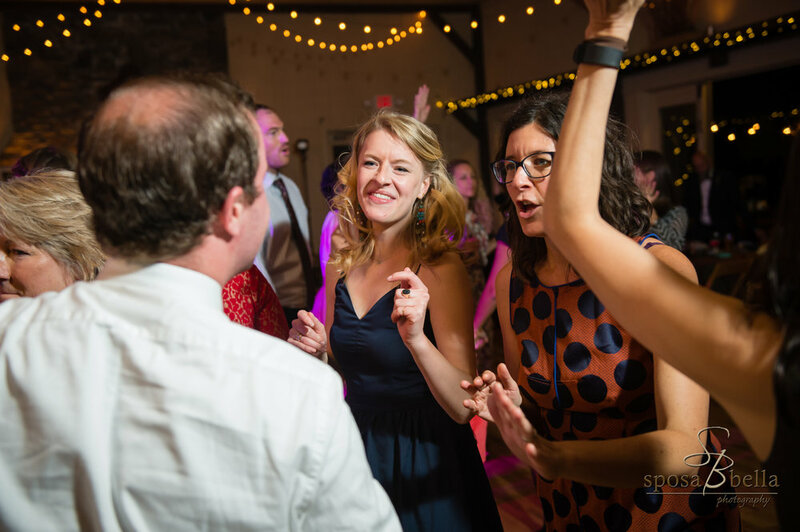 They chose the classic "You're My Home" by Billy Joel. 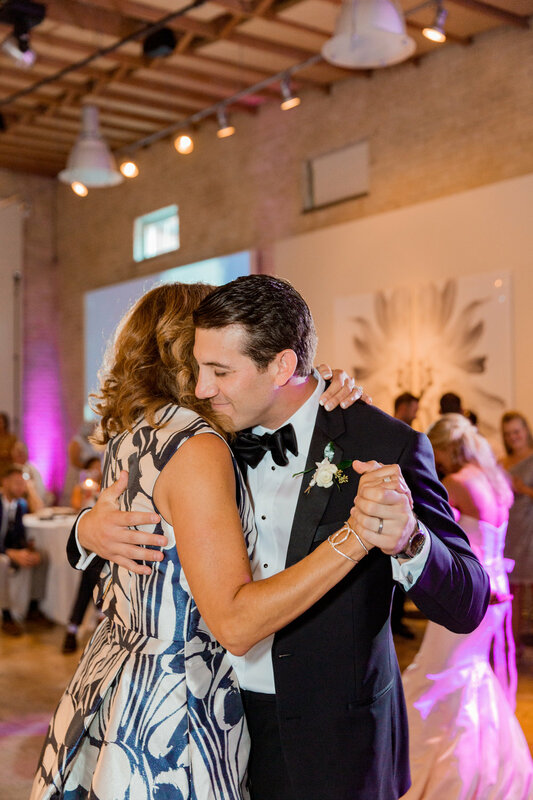 Kim wanted to take a few minutes out of the evening to have a special dance with her son. 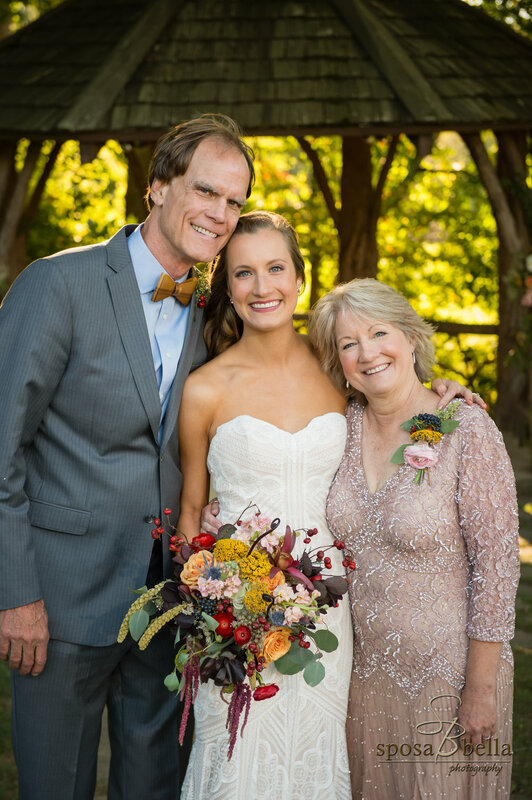 Mark & Kim are loved by some many people. 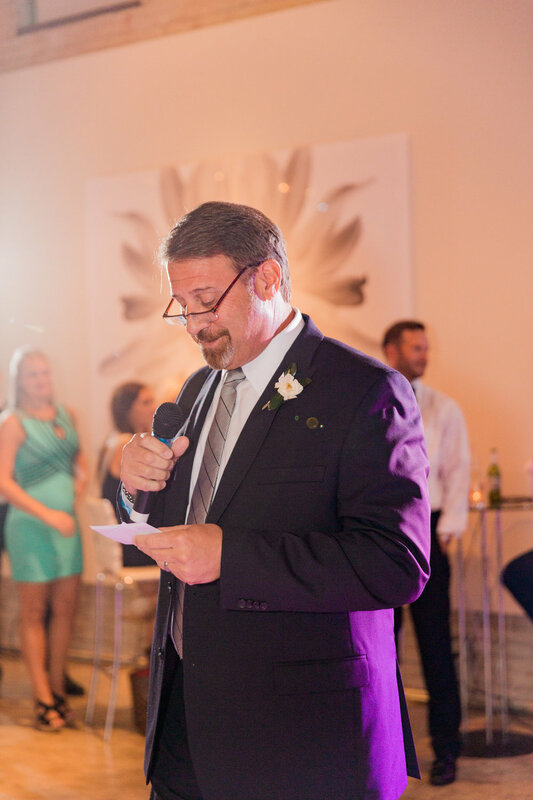 Several special people in their life requested to say a few words to the newlyweds. 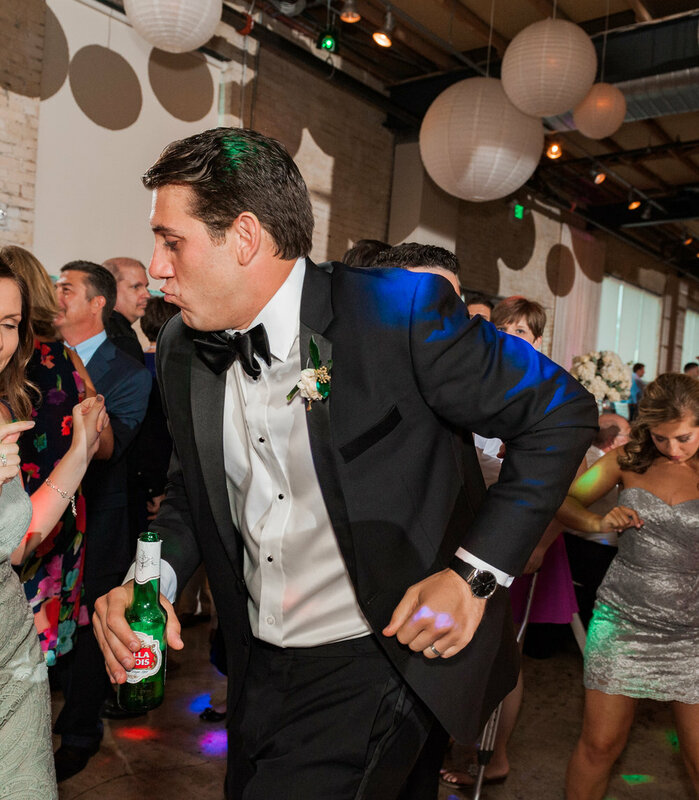 After speeches, dancing kicked off and the food was open. 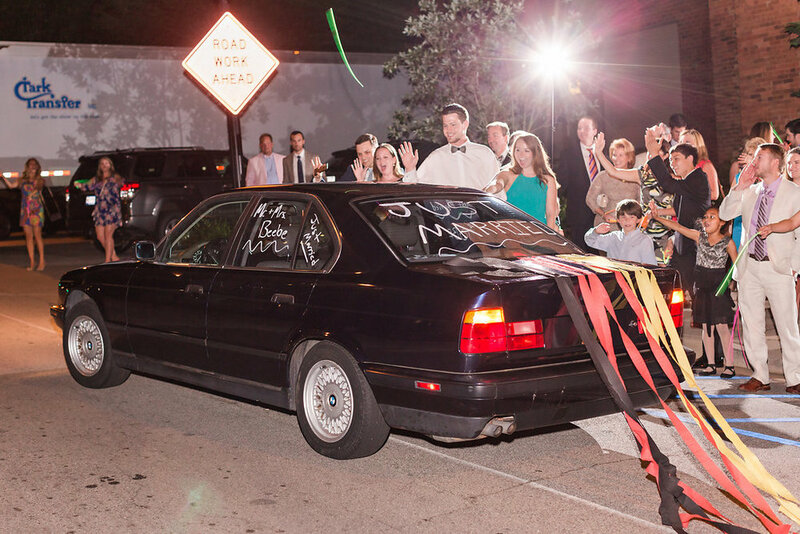 Mark & Kim had it all at their reception, including a Bacon Bar! 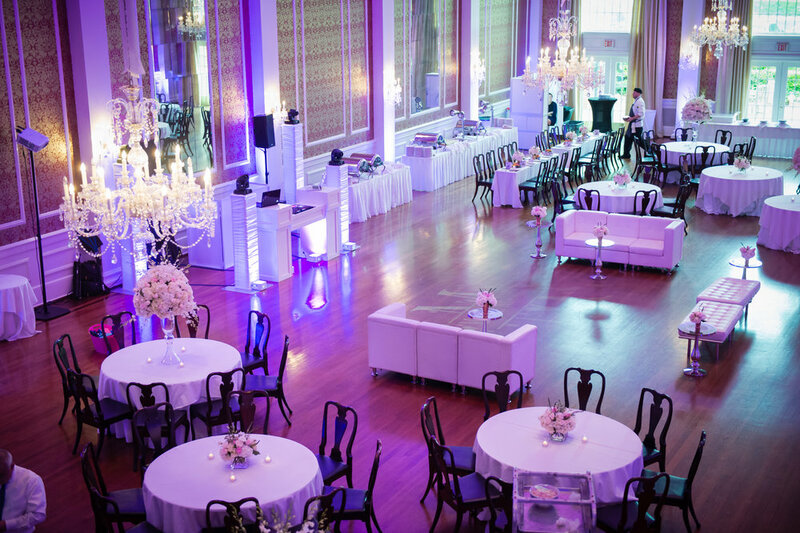 Time for guests to kick off their heels and put on their dancing shoes! 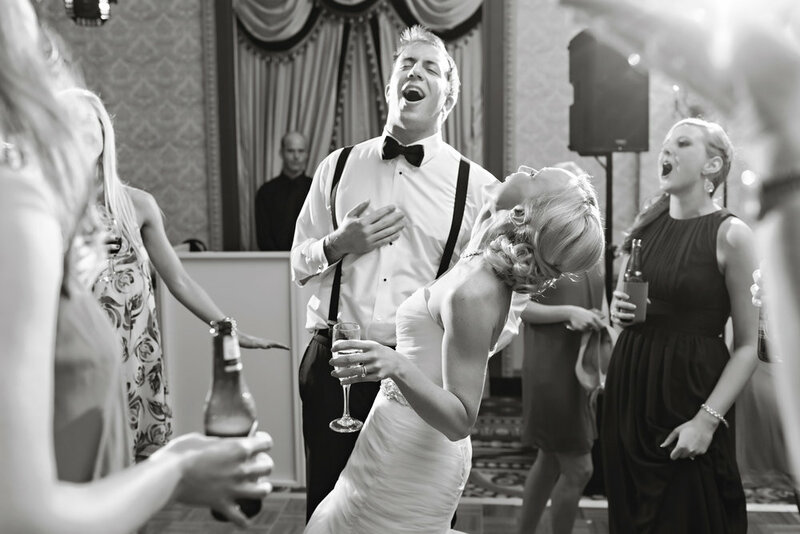 As wedding DJ's, we celebrate with many couples every year. 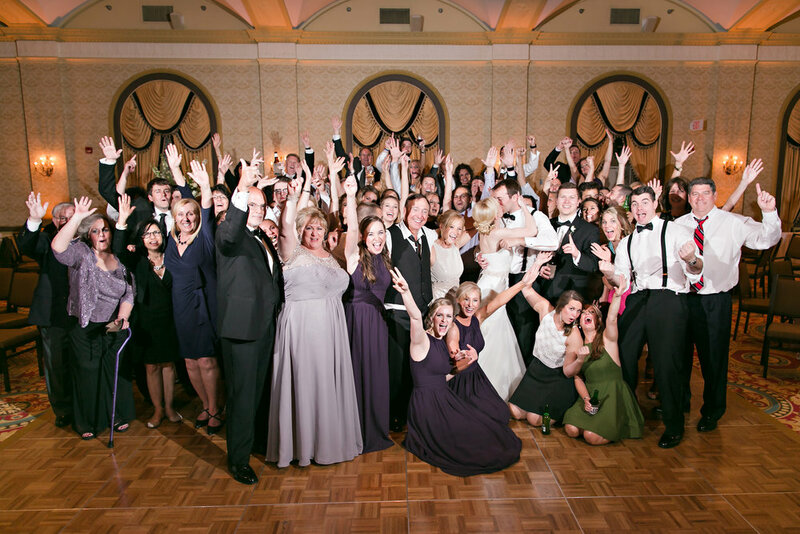 There is always that one couple that stands out from the crowd. 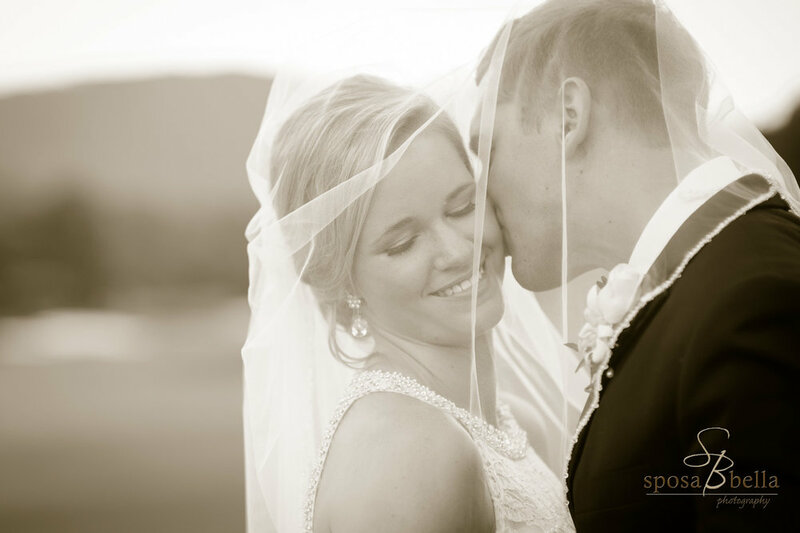 The couple that is full of life and love. Whitney & Brandon is that couple. 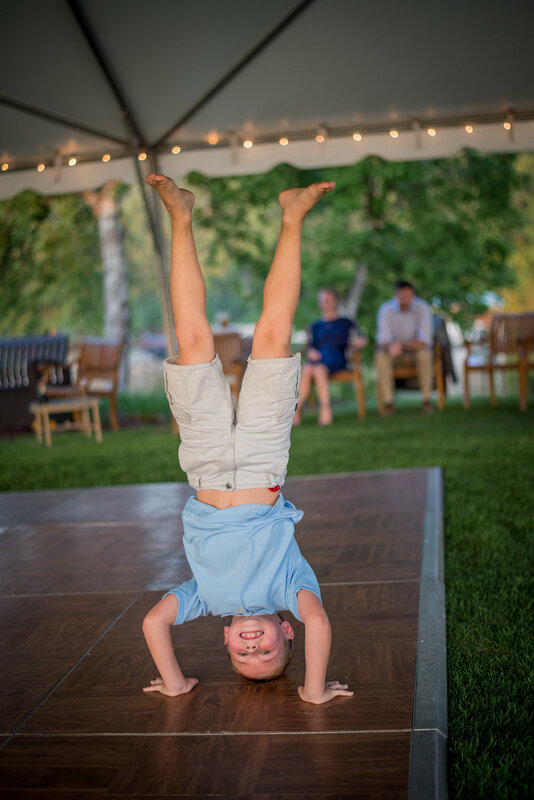 They live busy lives but they live them to the fullest. 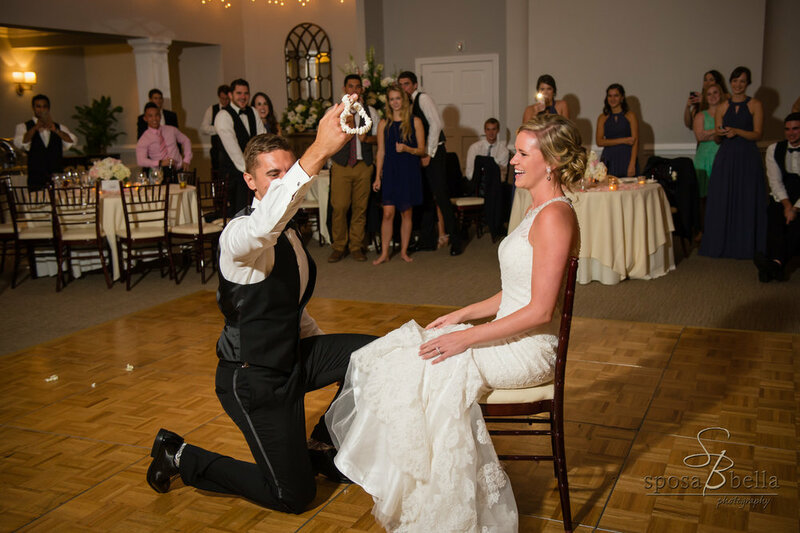 Brandon's adventurous hobby is flying planes while Whitney is an avid horseback rider. 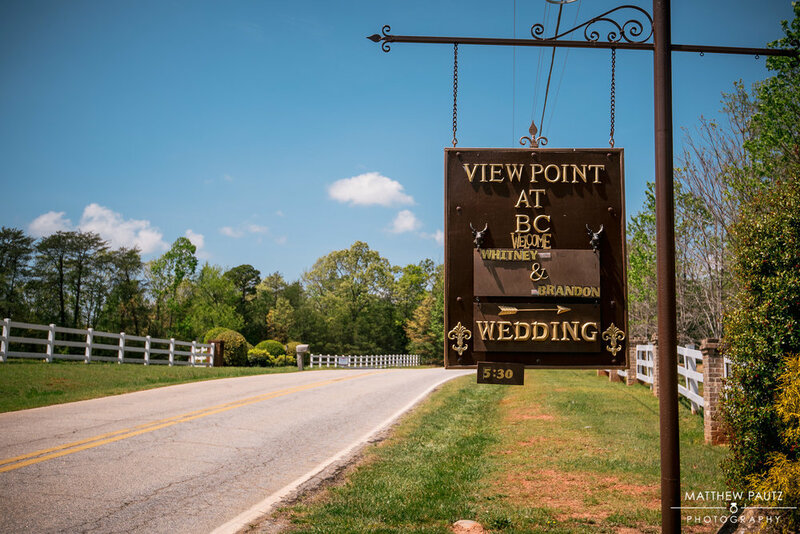 Like their personal lives, Whitney & Brandon wanted their wedding day to be full of fun and love and the details are to the T. It began with their venue, View Point at Buckhorn Creek. 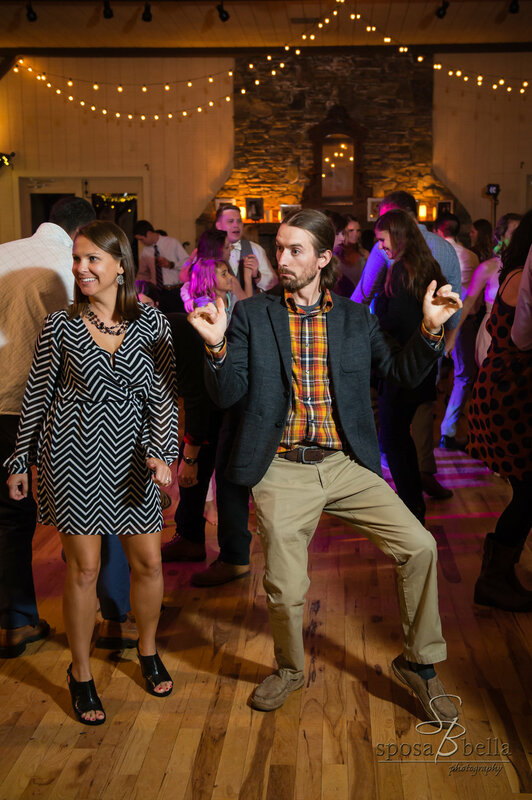 View Point is a beautifully designed space with unobstructed views of the Blue Ridge Mountains and is only minutes away from Greenville, SC. 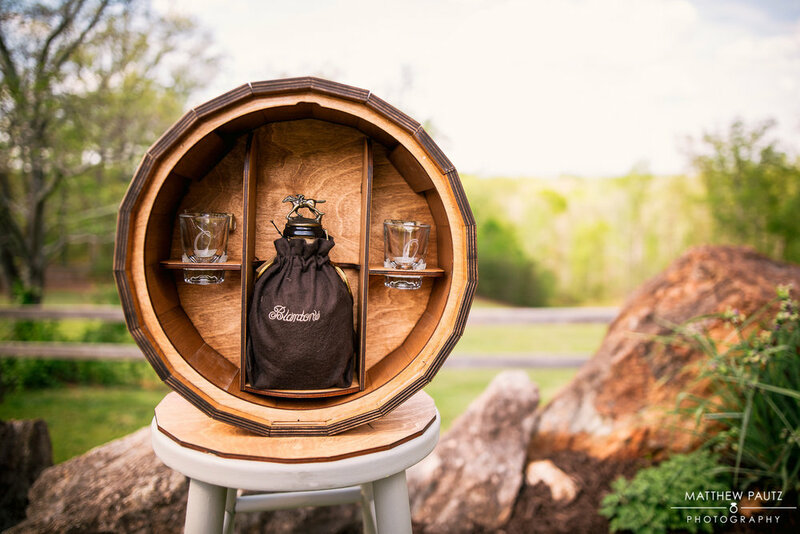 Whitney & Brandon included personalized details like a plane prop as a decor on their dessert table, a favorite childhood paper origami game as wedding programs, and a barrel bourbon sealing element in their ceremony. 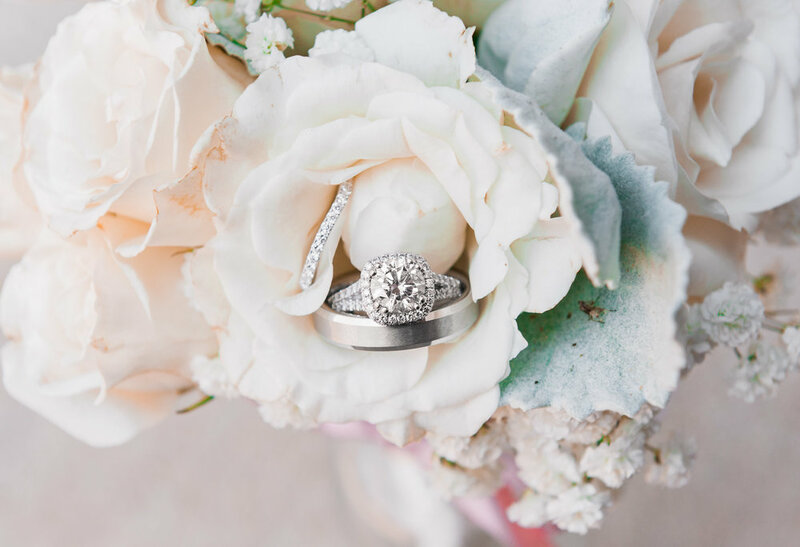 Take a look below at all of these details and more! The views here were stunning! 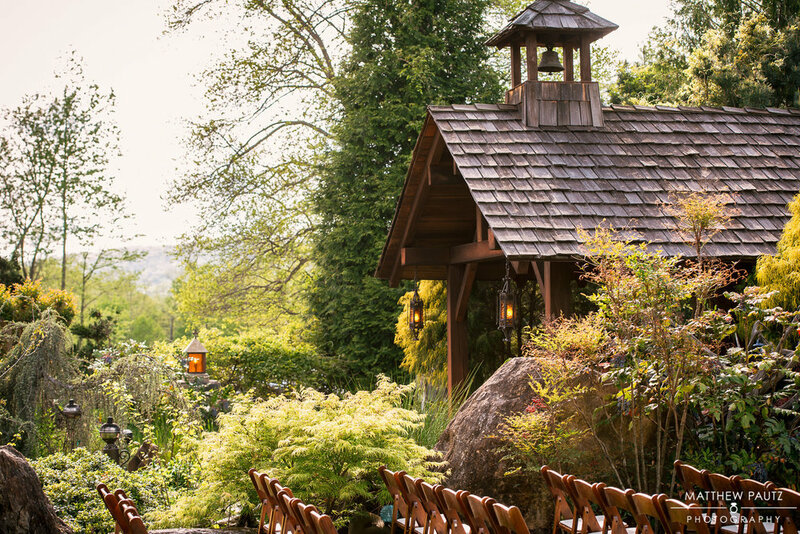 View Point at Buckhorn also boasts a beautiful Koi Fish pond within the property. Do you remember the origami paper fortune tellers from way back when? 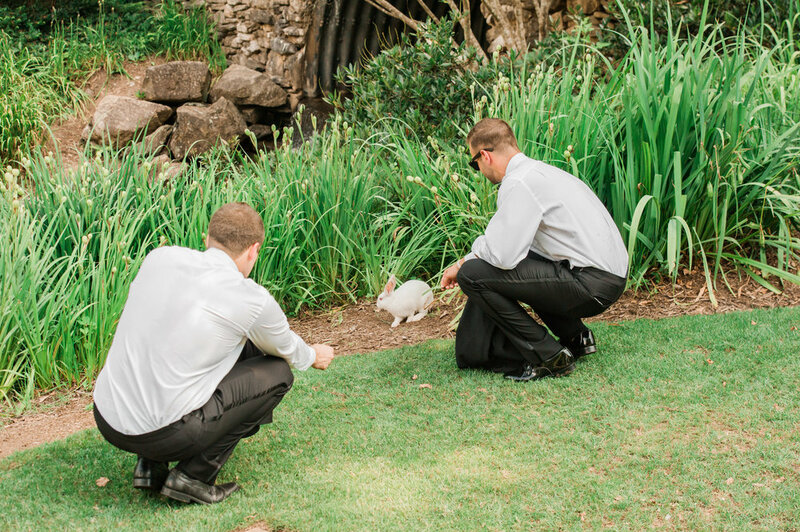 Whitney and Brandon transformed this childhood game into beautiful wedding programs. 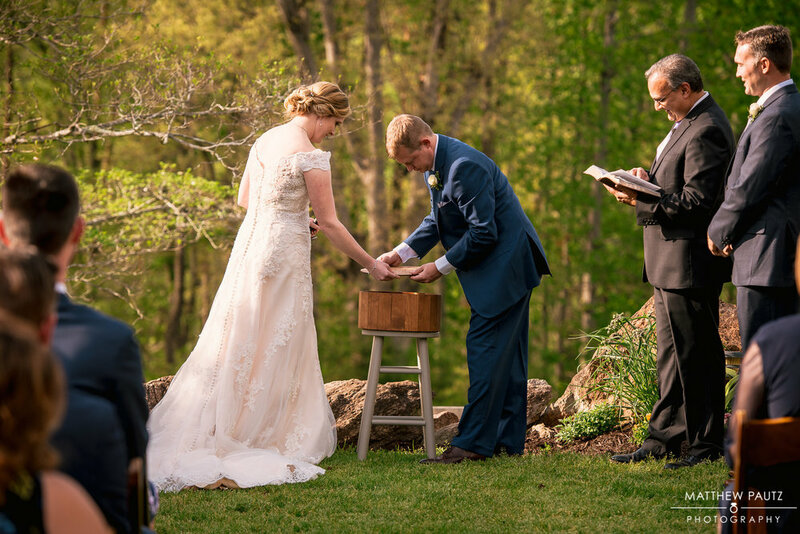 Whitney & Brandon decided to seal a bourbon barrel during their ceremony. Each placed a letter inside the barrel. In a certain amount of time, they are to open the box, cheers to the memories made & read the letters. 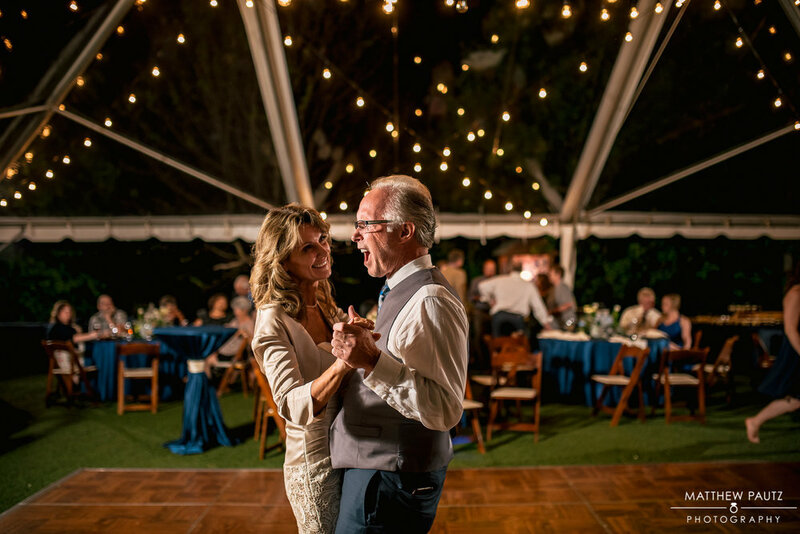 A first dance is one of the most special moments of the evening. 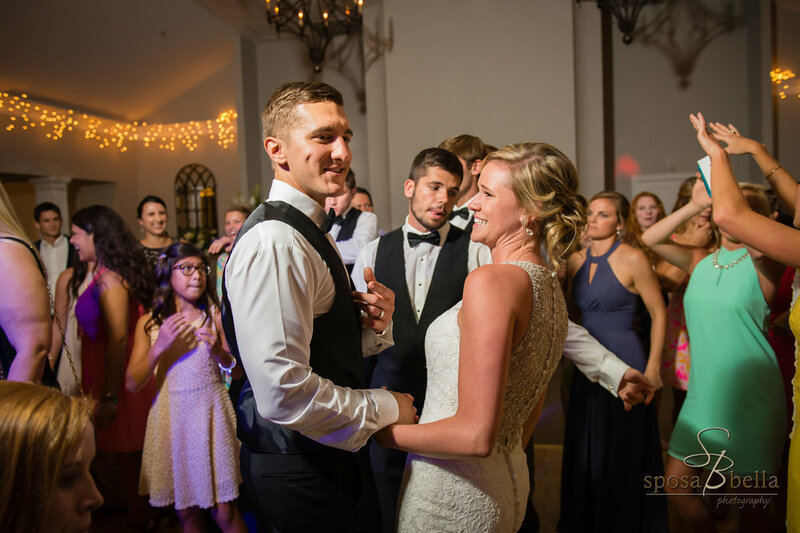 Whitney & Brandon chose "You Are The Best Thing" by Ray LaMontagne. 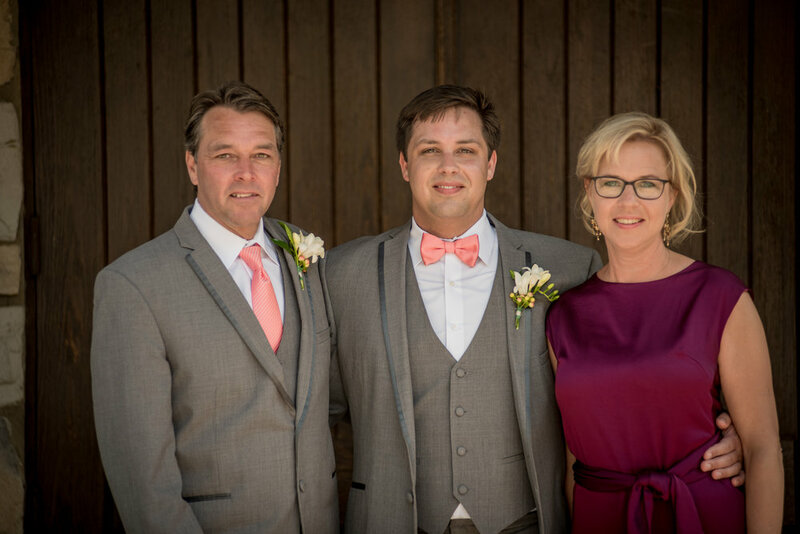 Besides Brandon, Whitney has two other special men in her life, her father & stepfather. 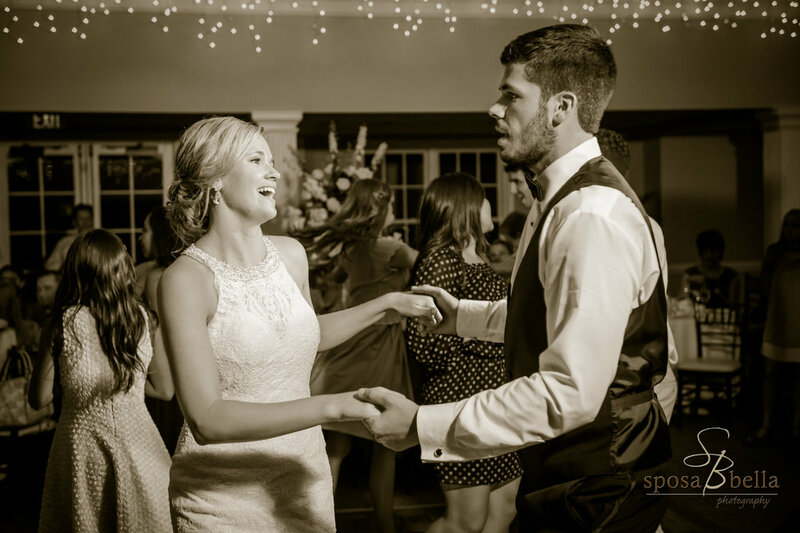 She chose to dance with both gentlemen on her wedding day. 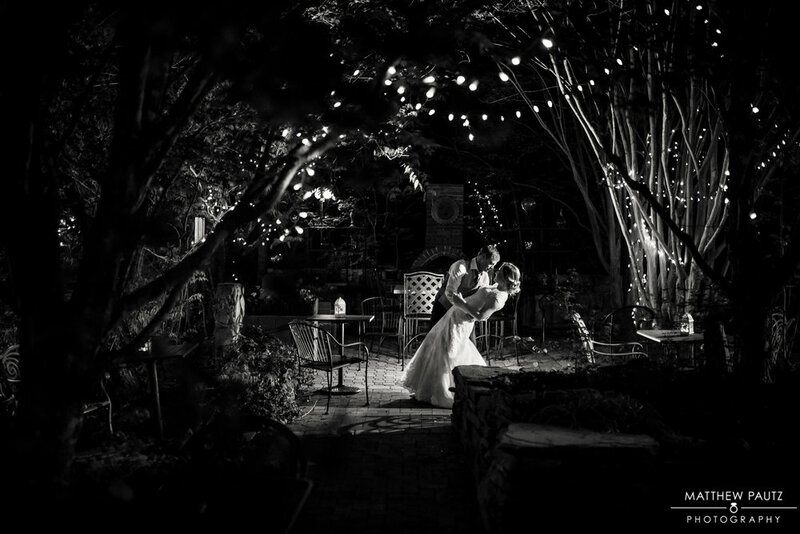 Matthew Pautz truly out did himself in capturing these evening couple photos. 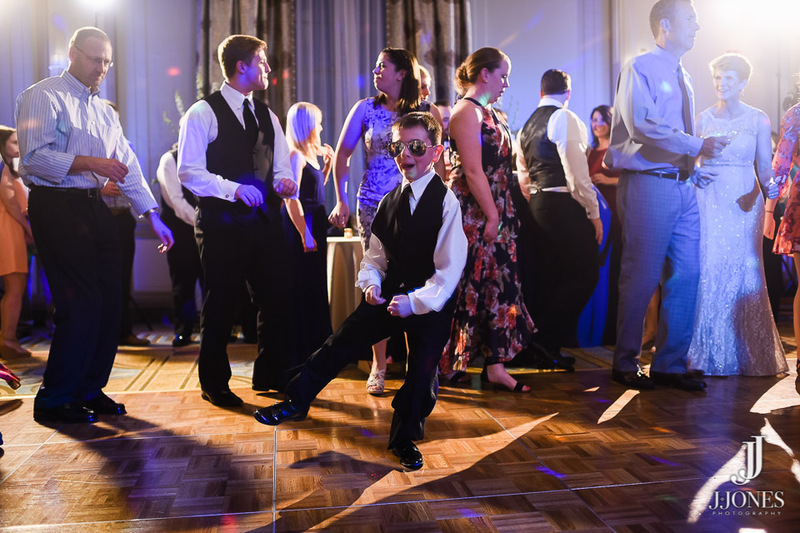 Whitney & Brandon had a high energy group of family & friends that packed the dance floor all night. 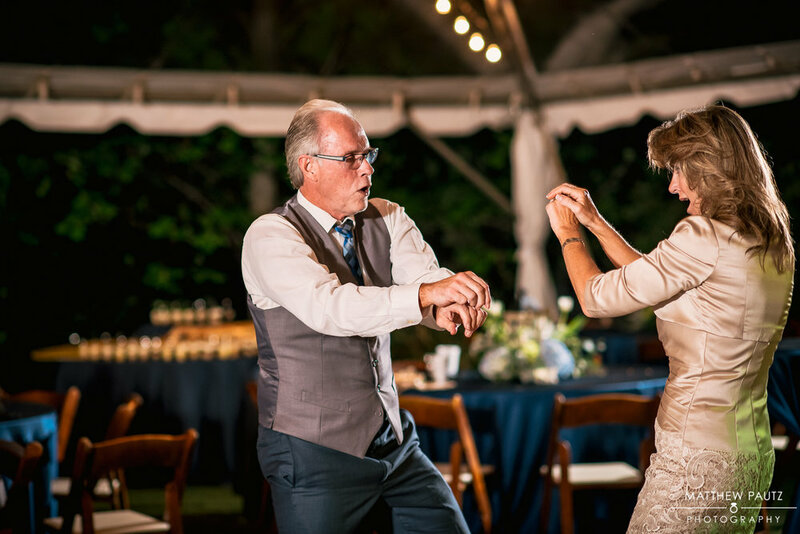 Even Grandma had to have a chance to dance! Thank you to everyone that make this night amazing for Brandon & Whitney. 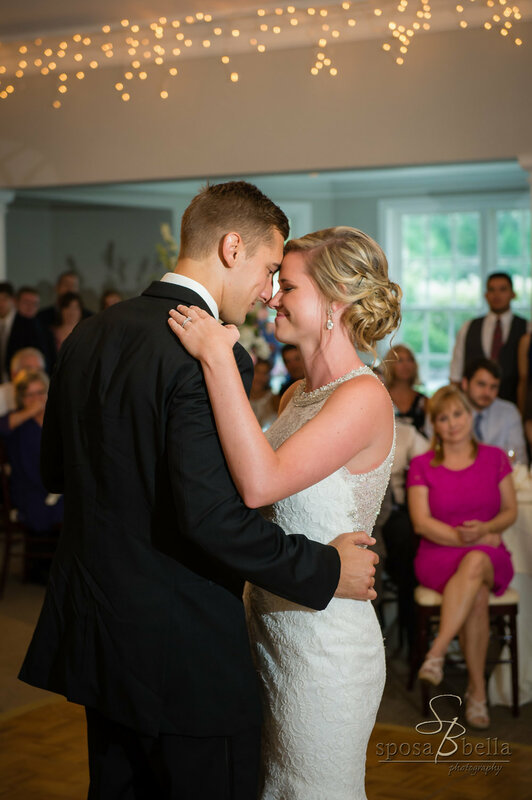 Ashley & Mark met one evening while attending Western Kentucky University. It was your classic football player & cheerleader love story. After Mark graduated, he moved back to SC. 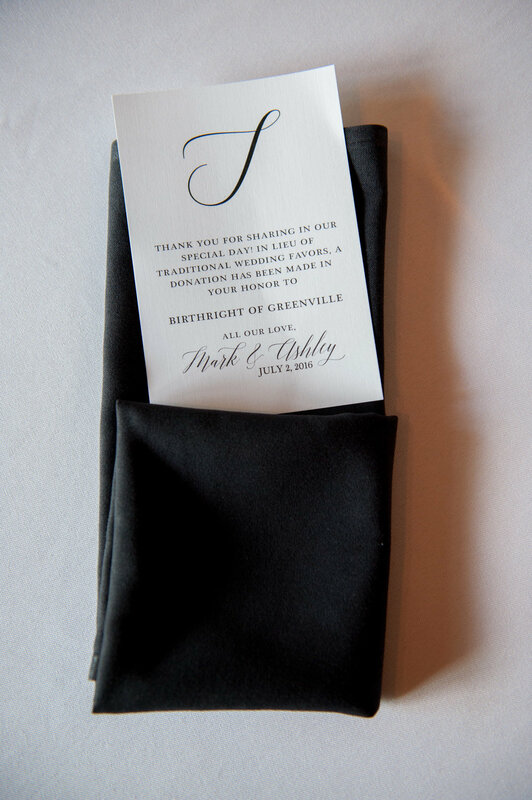 Not long after that, Ashley followed Mark to the Palmetto State where they decided to start a family & get married. 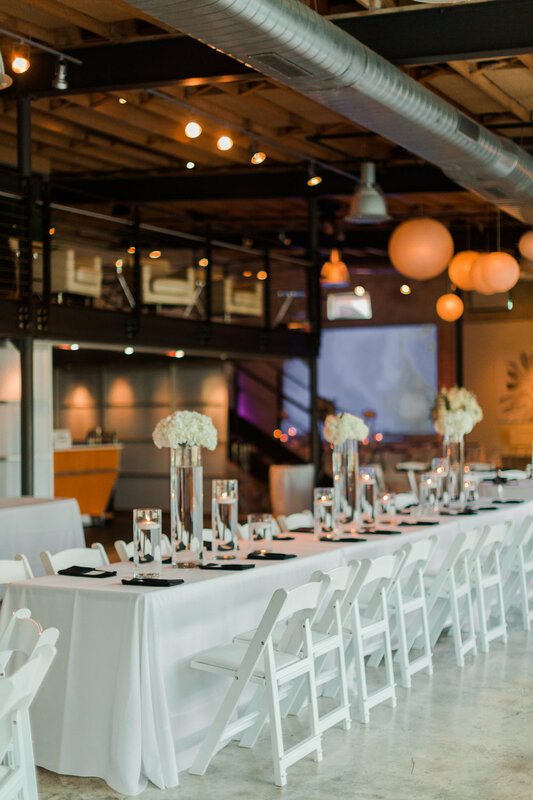 Being that the couple had family coming in from all over, Ashley & Mark decided to hold their wedding reception at Zen- An Elegant Space for Hire. With its modern but classic style, it is the perfect blank canvas to make your own. 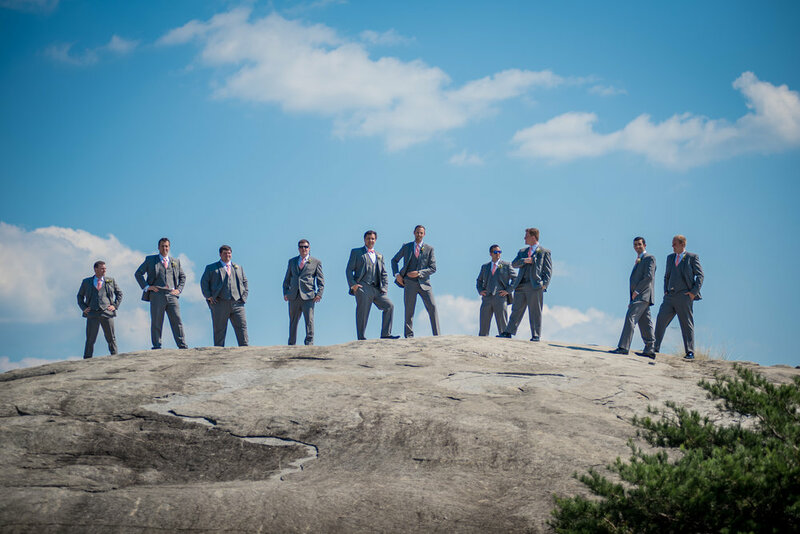 Zen is located in downtown Greenville, within walking distance to many hotels & shops that guests can visit while in town. 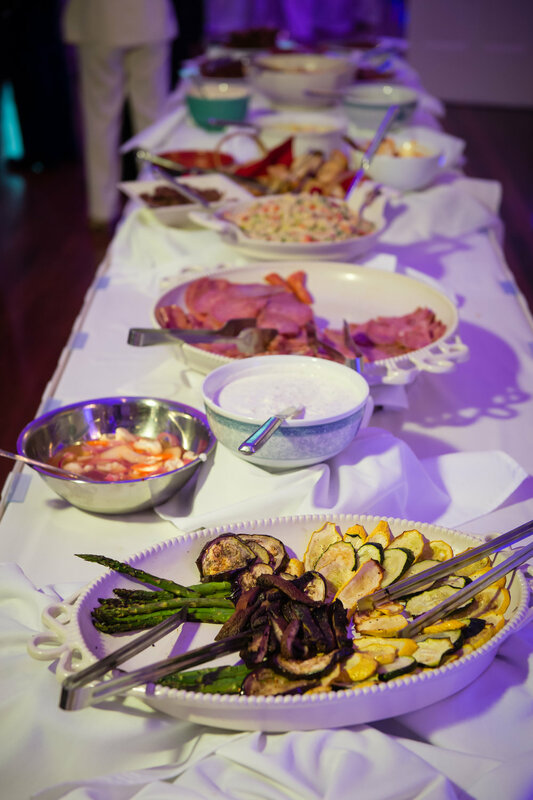 Another enticing aspect about Zen is that you are able to choose from many different caterers and vendors for your day. Mark's side of the family is VERY Italian. 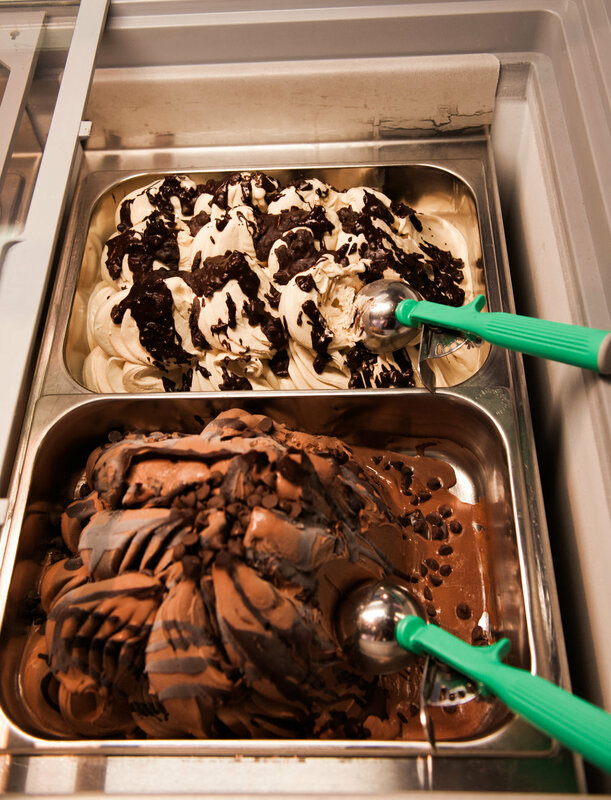 The couple wanted to pay tribute to this, so they hired Luna Rosa to bring in their homemade Gelato. 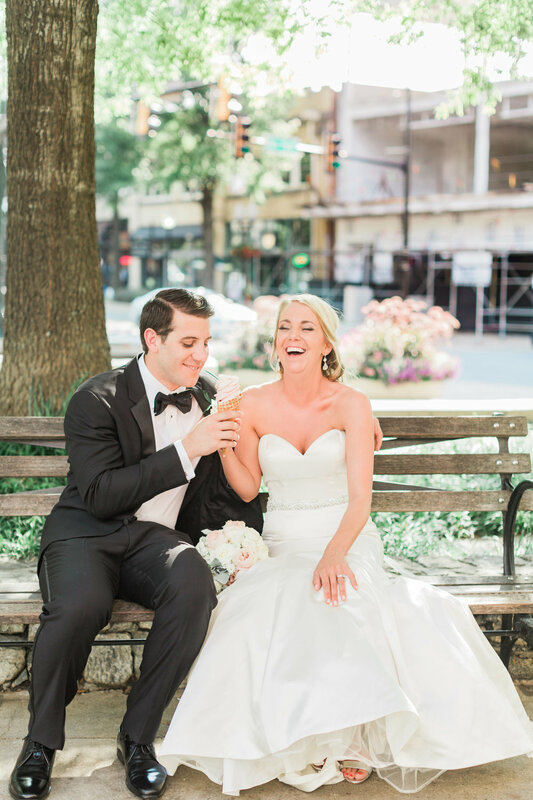 This was a fun & delicious personalized aspect to their day. 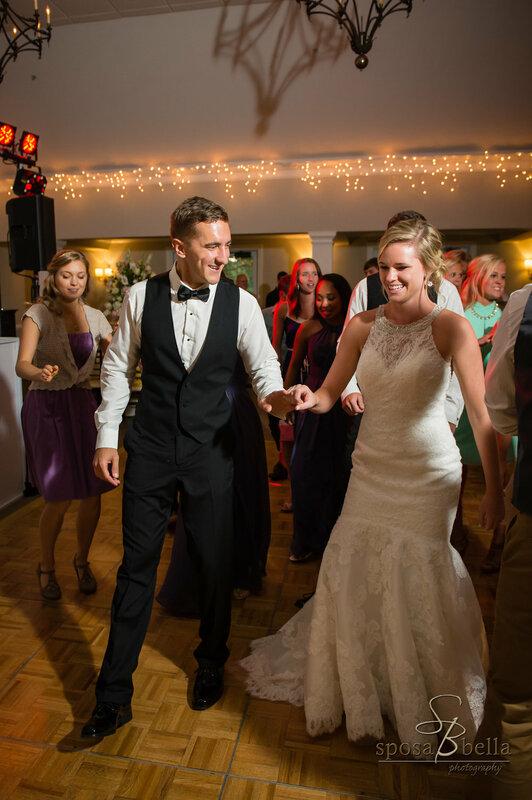 We would like to thank Ashley & Mark for choosing Uptown Entertainment as their DJ. They, like all couples, have several choices in the area. 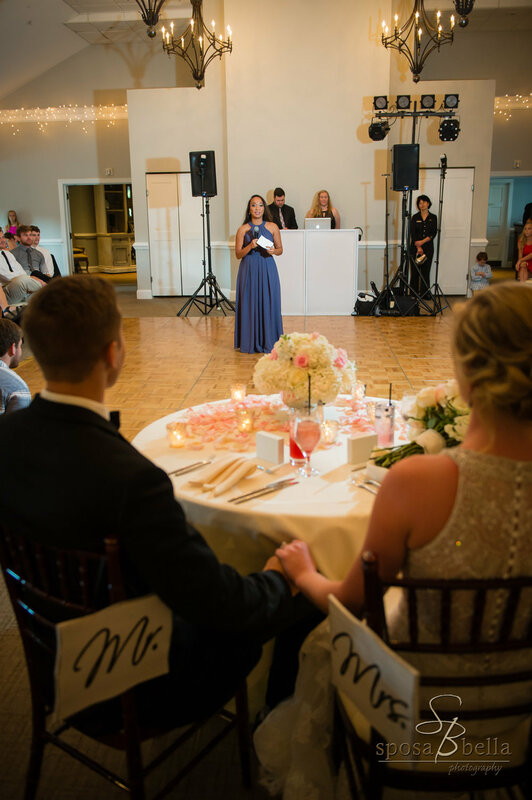 However, music was an important part of the day to Ashley & Mark, and they knew with Uptown Entertainment they would receive nothing but the best and most professional services. 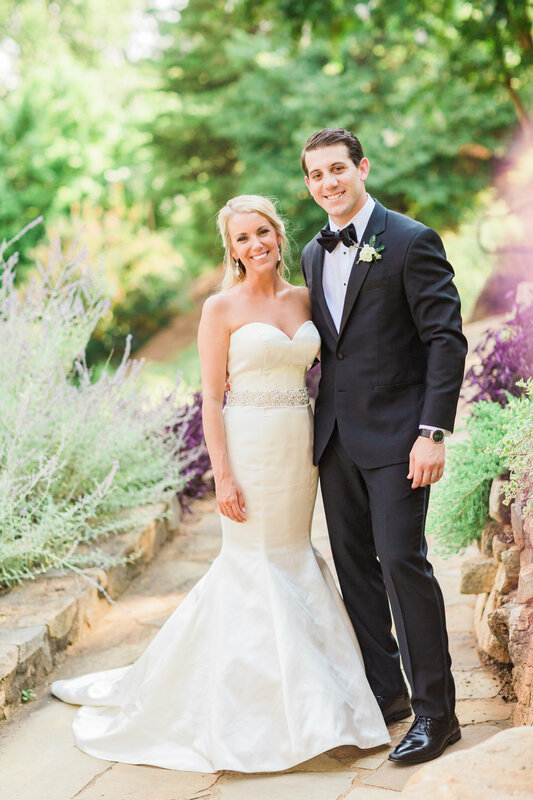 Thank you to all of the wedding pros that helped make this day magical for Ashley & Mark! Who needs a boutnineer when you can have a badge! 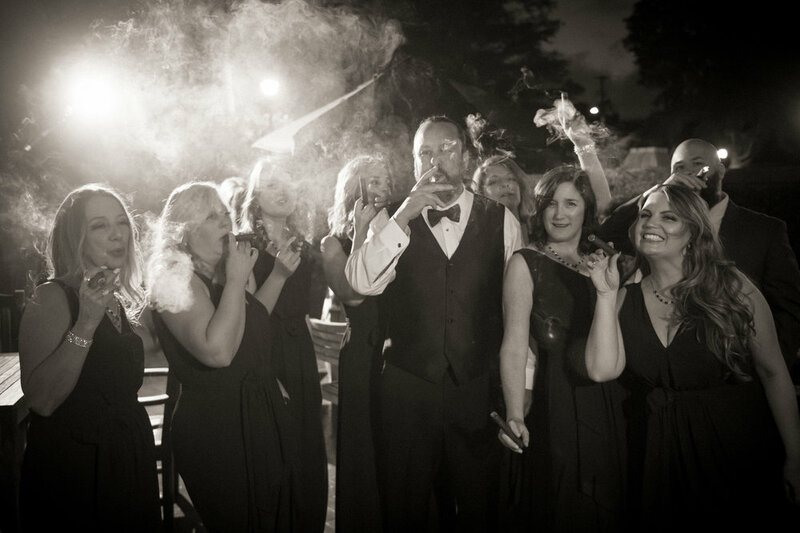 Ashley & Mark had one of thee most fun wedding parties! Even a passerby in the park knew the ladies looked amazing & had to stop for a selfie. 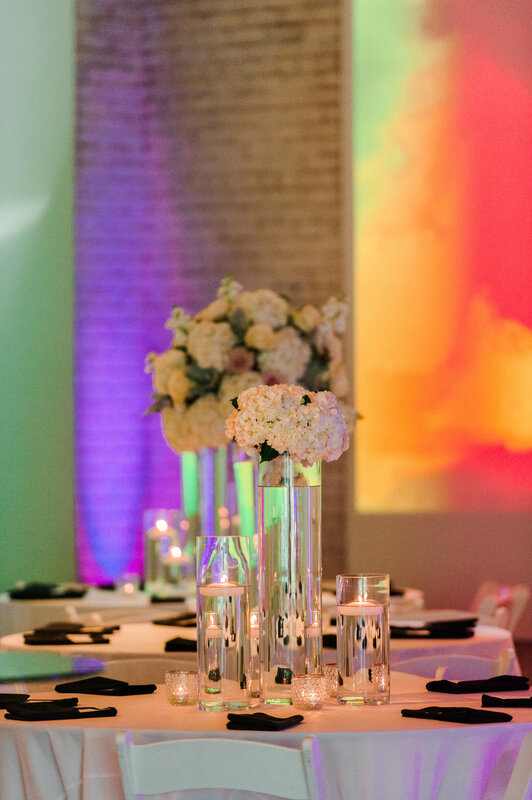 Because Zen is a blank canvas, Uptown provided uplighting to enhance the feel of the room and bring a splash of color to the neutral color pallette. 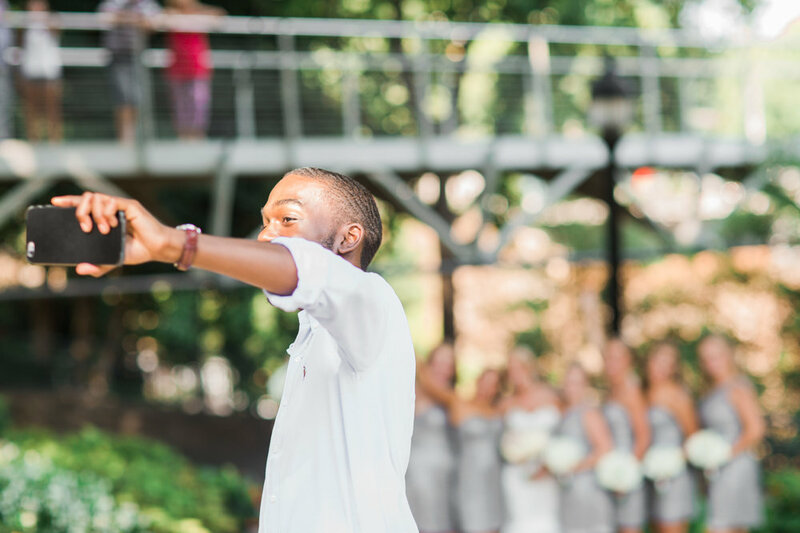 Having a food truck at your wedding is a one of a kind experience! Thorough Fare provided decious items for the cocktail hour & dinner. 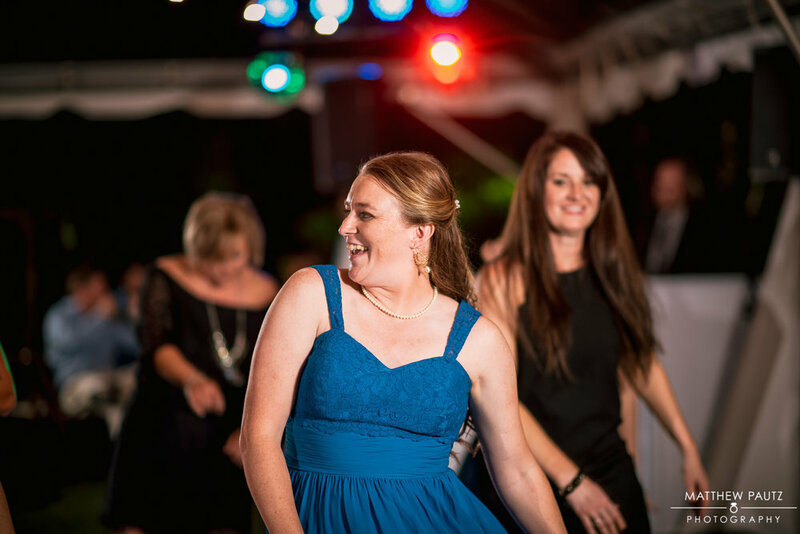 After dinner, it was time to get on the dance floor with Ashley & Mark's family & friends. 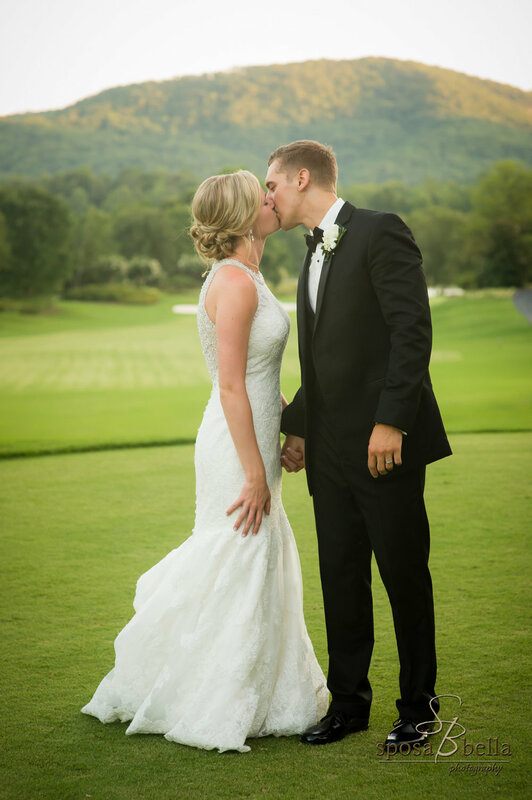 We wish you all the best Ashley & Mark! Chris & Courtney meet while attending PA school. 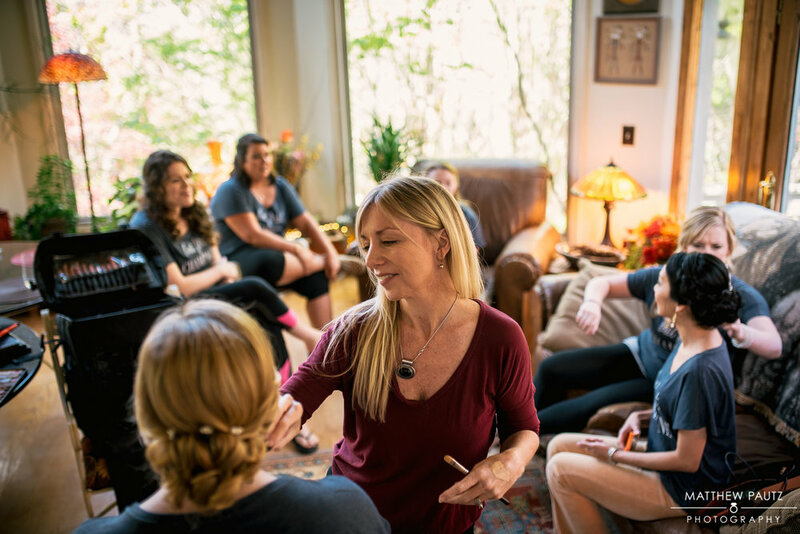 During an evening out with classmates, they struck up a conversation and quickly realized they had a lot in common. 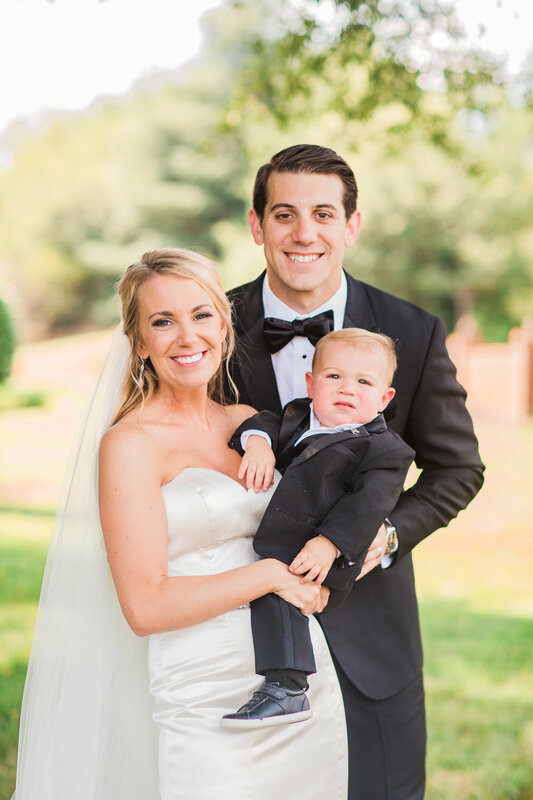 Their core beliefs of family, faith, & football laid a strong foundation in their relationship that helped it grow into what it is today. Chris & Courtney each have multiple siblings they are close with. 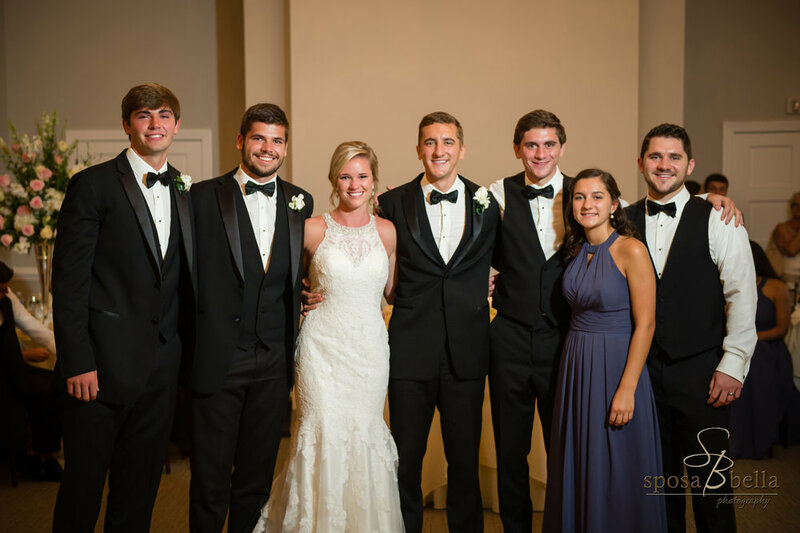 With their marriage, they knew that they were not only joining as one but they were joining a family together. 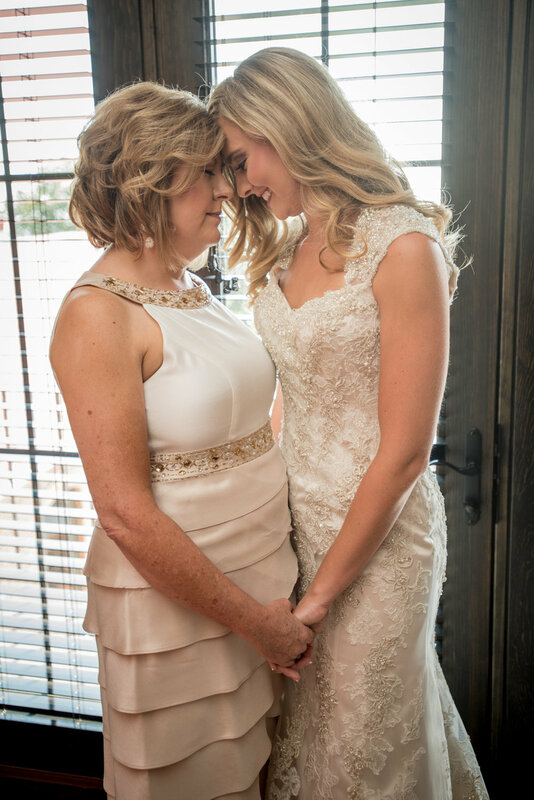 Due to that, it was important that both their faith & family were an integral into their day. 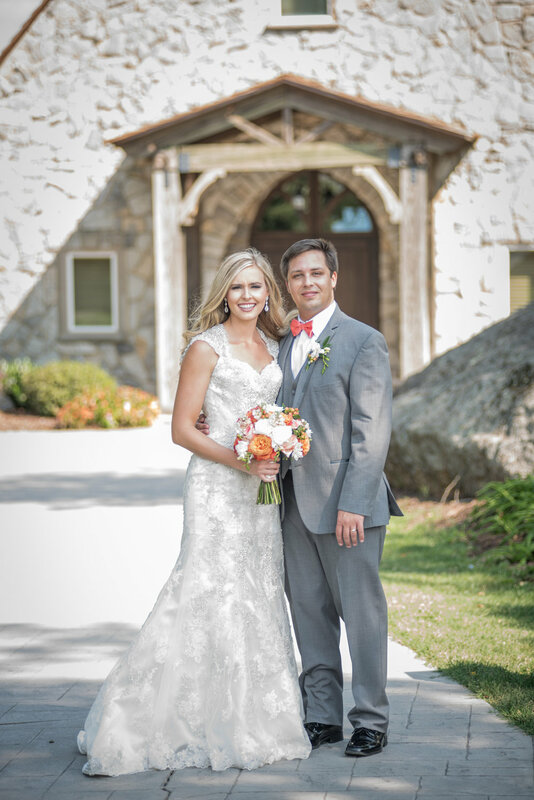 They chose the beautiful Glassy Mountain Chapel as the backdrop for their wedding day. 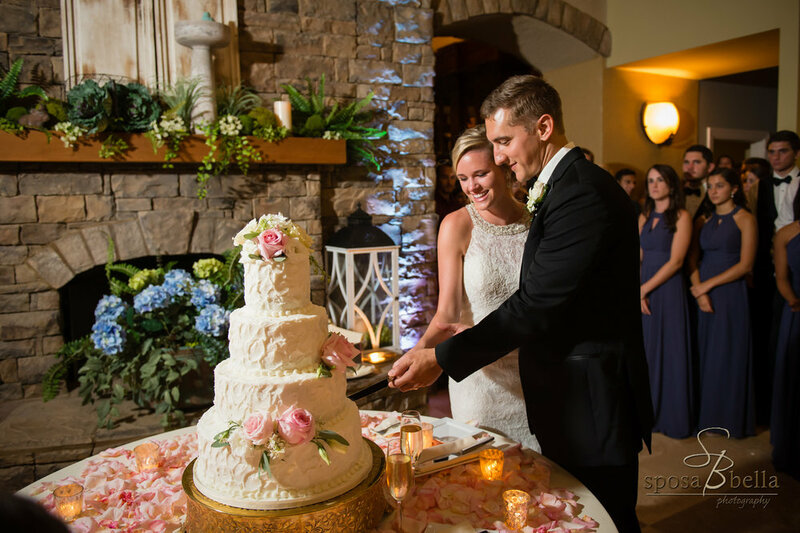 After their nuptials, family and friends traveled down the mountain to The Cliffs Valley Clubhouse for food, laughter, & dancing. 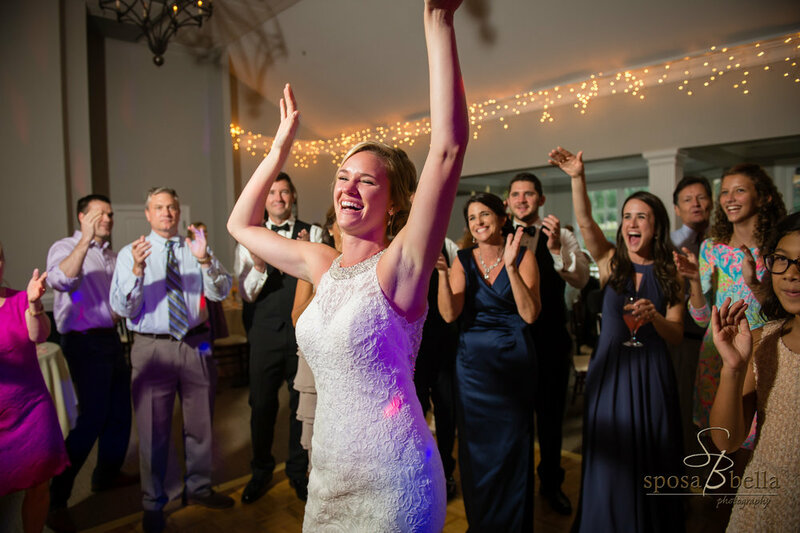 Uptown Entertainment had the privilege of providing the soundtrack for their night as well as a fun, interactive photo booth. 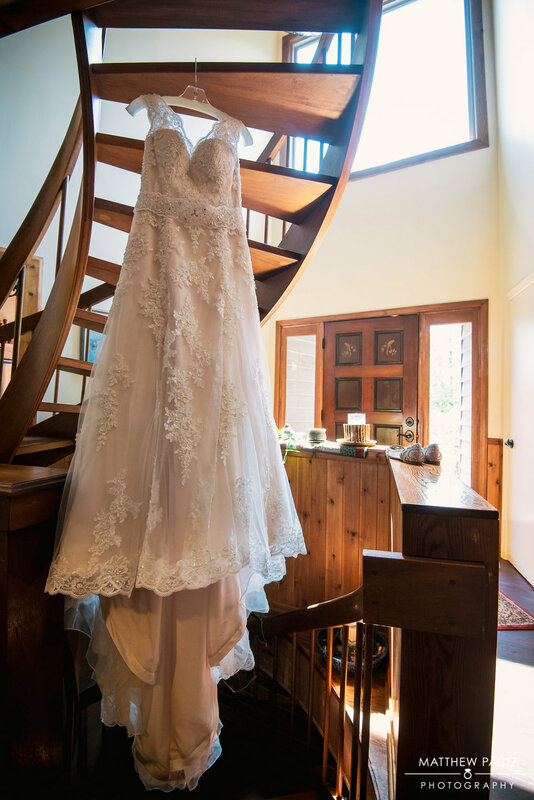 Thank you to all of the vendors who helped make Chris & Courtney's day everything they dreamed of. Cotton Rouge Hair and Make Up is one of the best in the Industry. 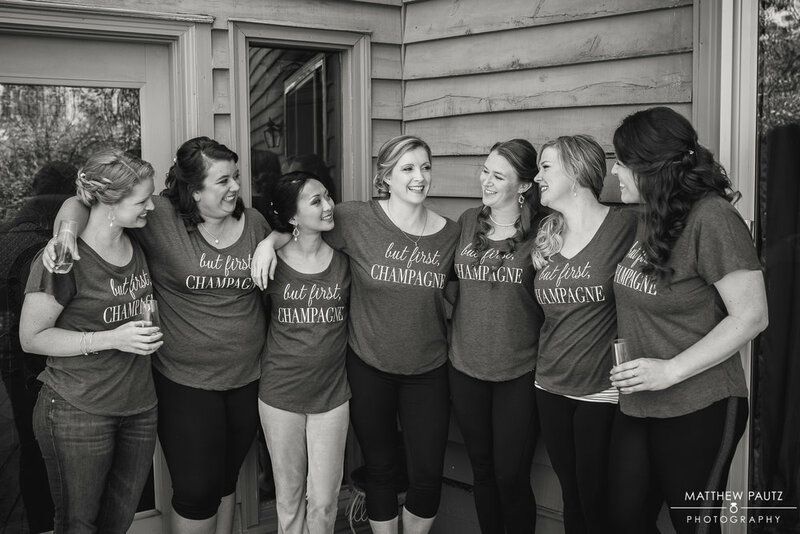 They always help ensure that our brides & bridesmaids look their best! 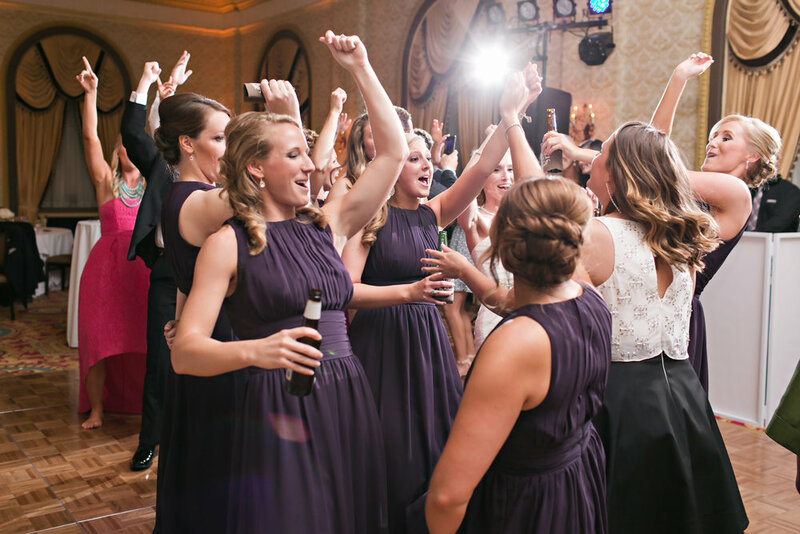 Courtney's bridesmaids presented her a beautiful scrapbook the morning of her wedding. Each wrote a note as a keepsake in celebration of the day. 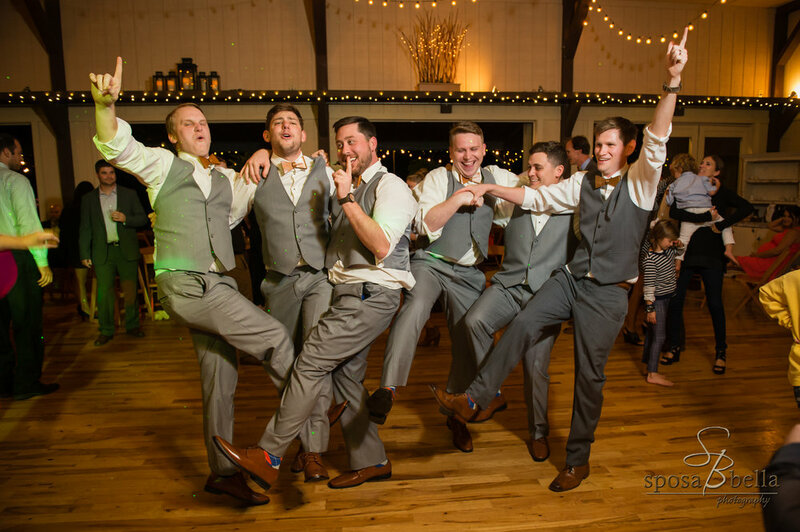 Each groomsman was given a pair of socks to show off each of their different personalities. 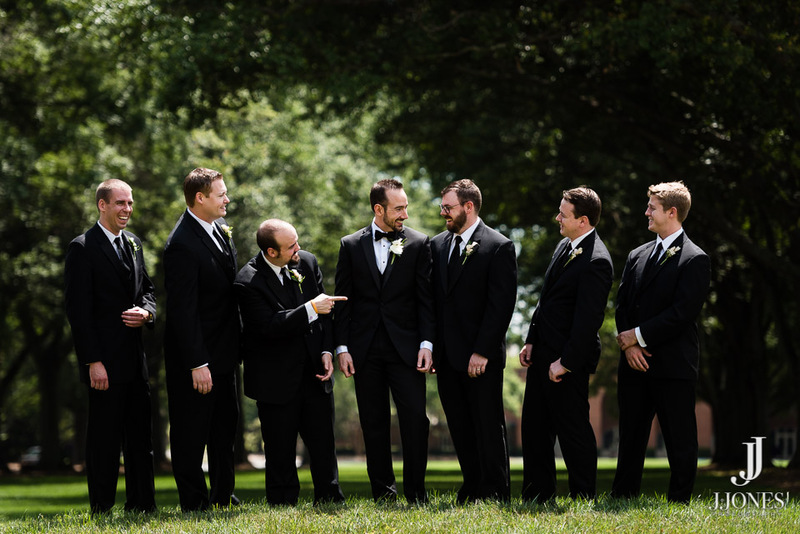 This is a great way to add a little personalization to the groomsmen attire. 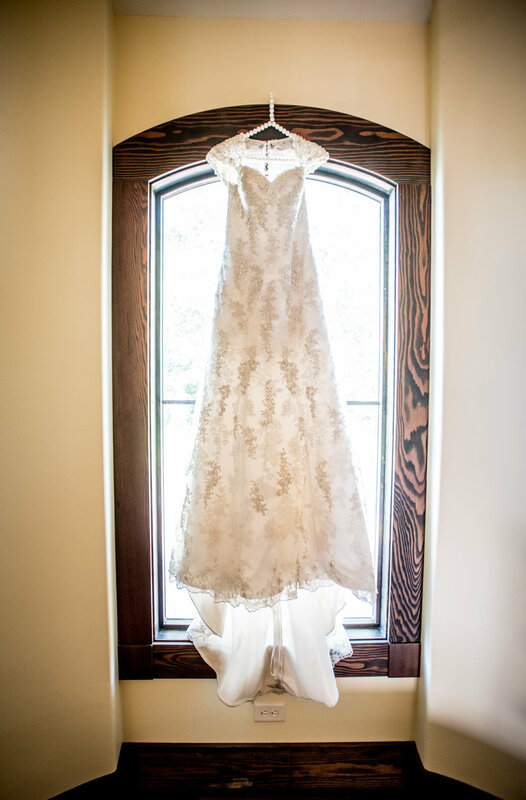 What a beautiful shot of The Glassy Chapel by Sposa Bella Photography! A classic Rolls Royce took Courtney to the chapel before the ceremony. 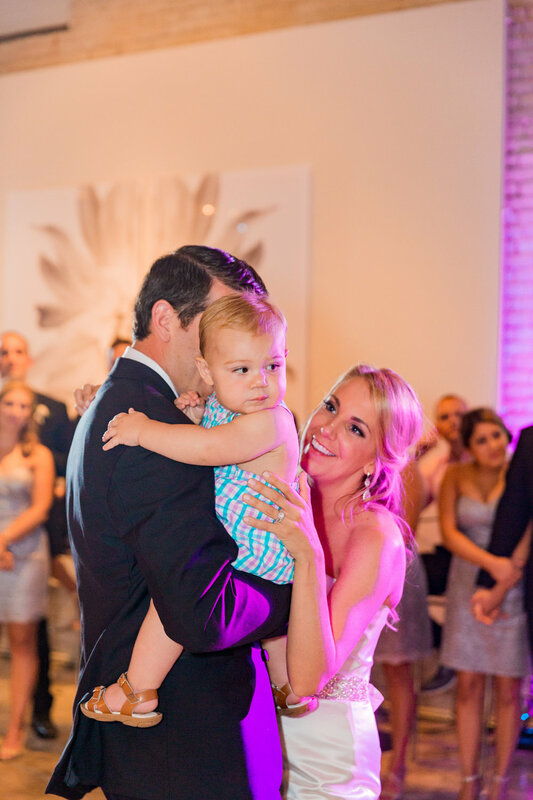 After saying their vows, it brought her & Chris down to the reception. 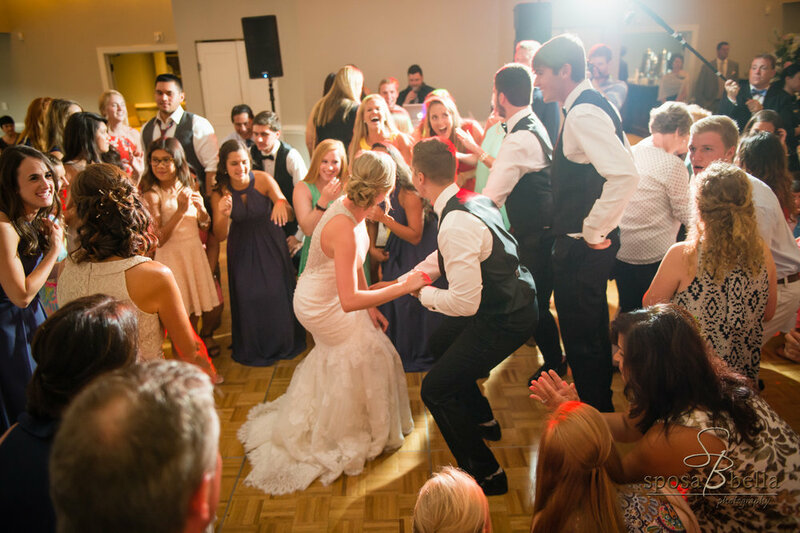 Since they are so close to their siblings, Courtney & Chris decided to hold a joint special dance with them. 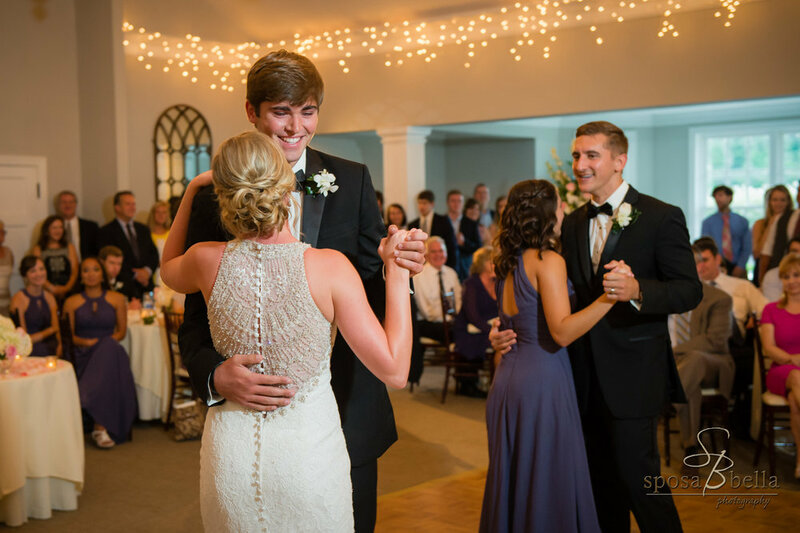 Courtney took turns dancing with each of her brothers as Chris danced with his sister. 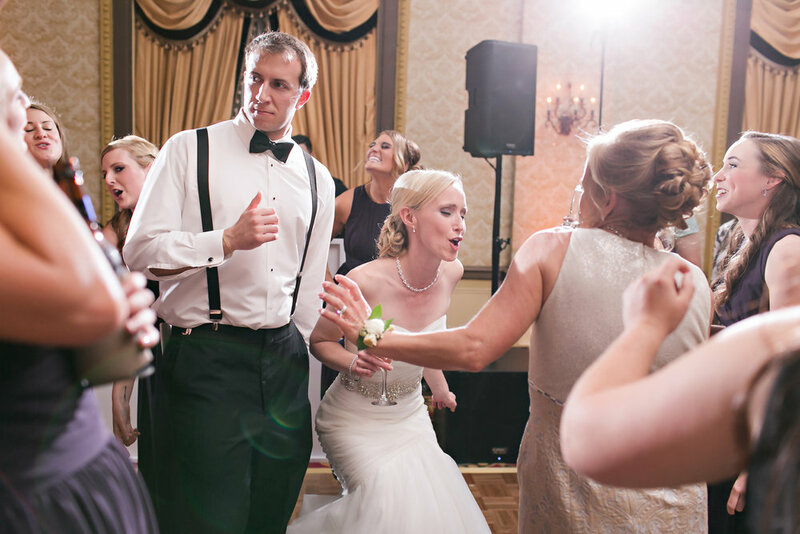 At the end of the song, all the siblings joined on the dance floor. 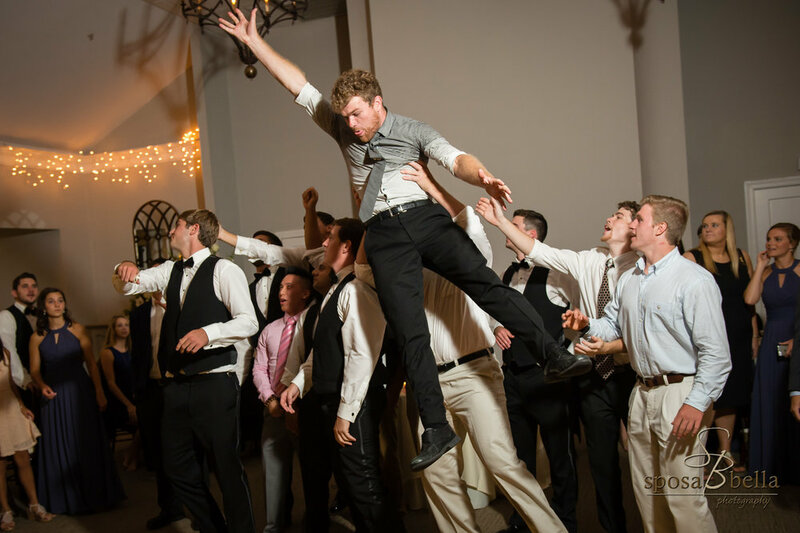 They danced to "You've Got A Friend in Me" by Randy Newman. 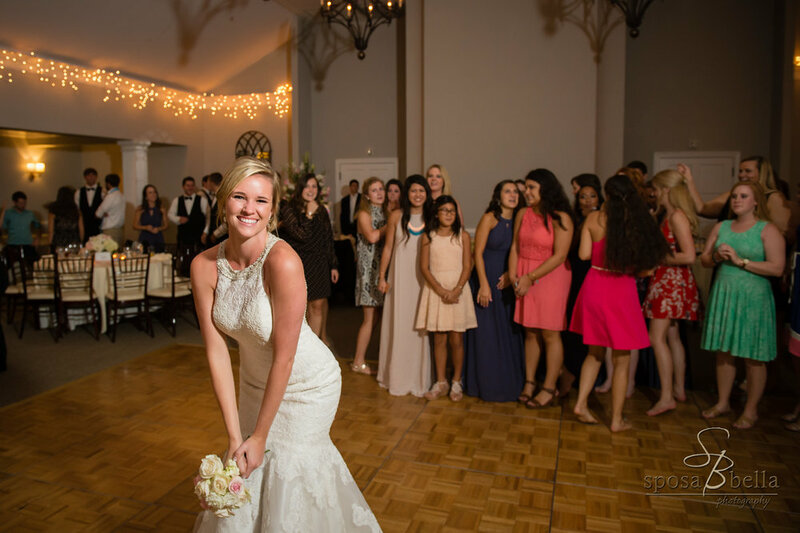 Courtney & Chris chose one of our awesome photo booths to give their family & friends some additional fun during their reception! 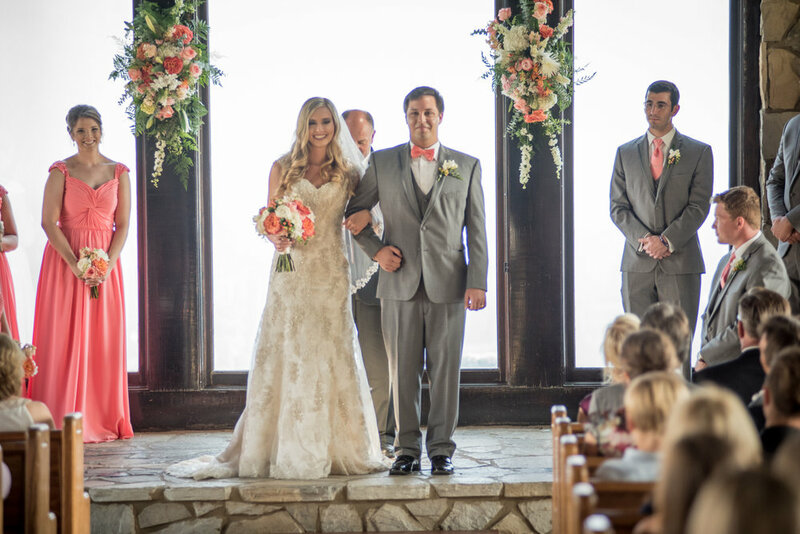 You can't forget the bride & groom! 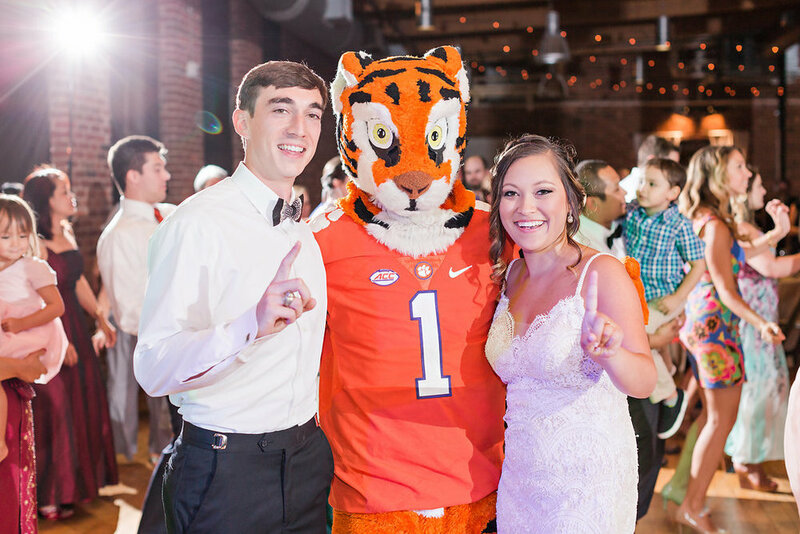 Thank you again to Courtney & Chris for letting Uptown be a part of your day! 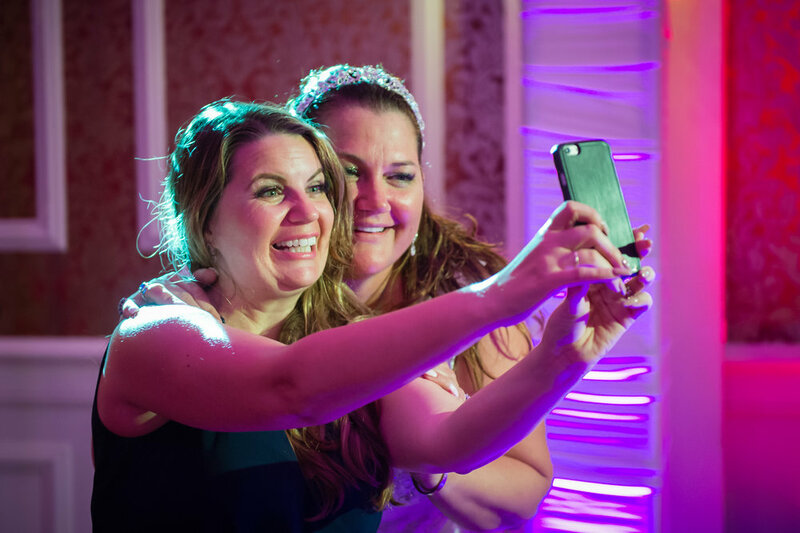 As an entertainment vendor, you can typically find us behind a DJ booth picking out the next tune or helping a guest decide on the perfect photo booth accessory. 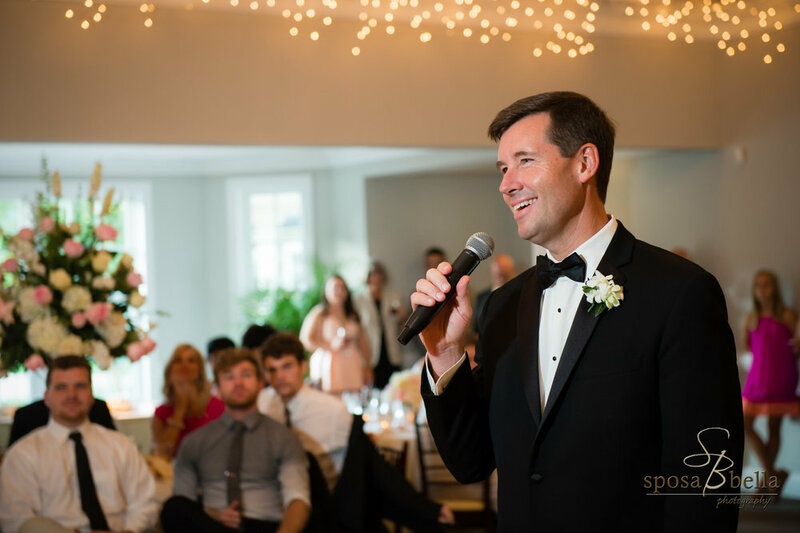 We do not often have the opportunity to be a part of earlier in the day as our couples are getting ready to walk down the aisle or have a chance to see all the magical moments that occur before everyone hits the dance floor. 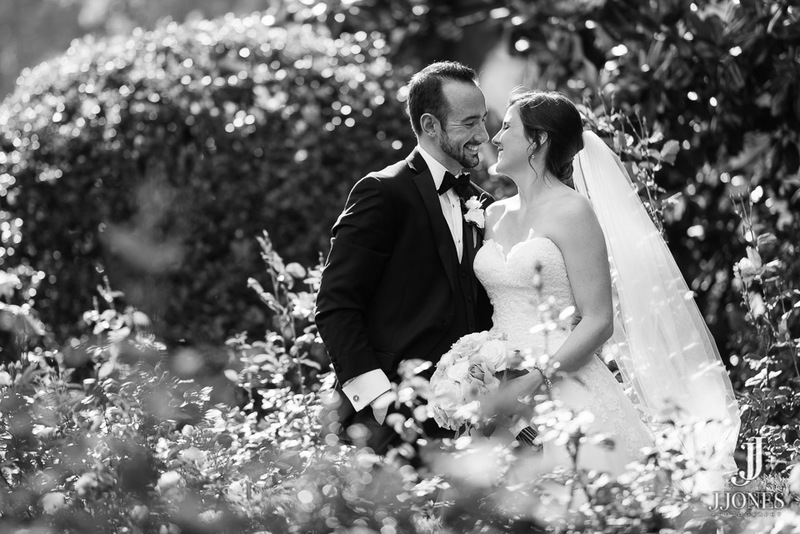 But then, the photographer sends us the pictures and we get to relive every piece of the day. 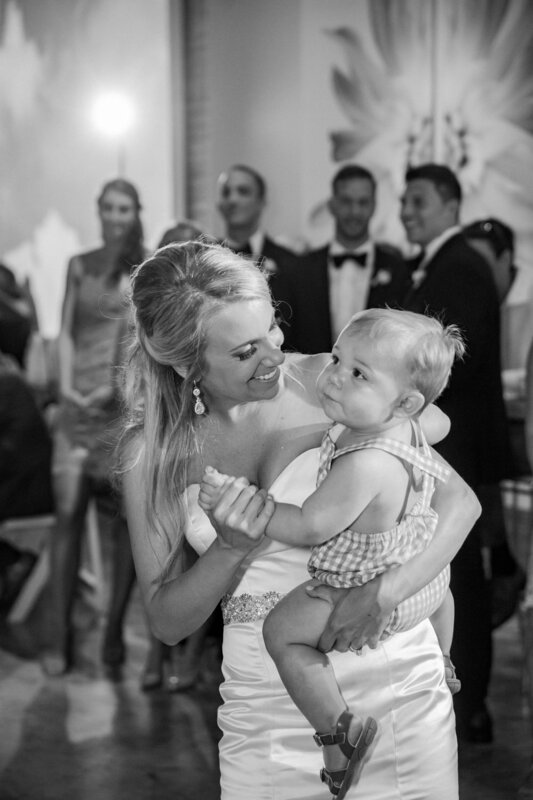 The best photos are the ones that you can feel the moments through as if they are happening in real time. 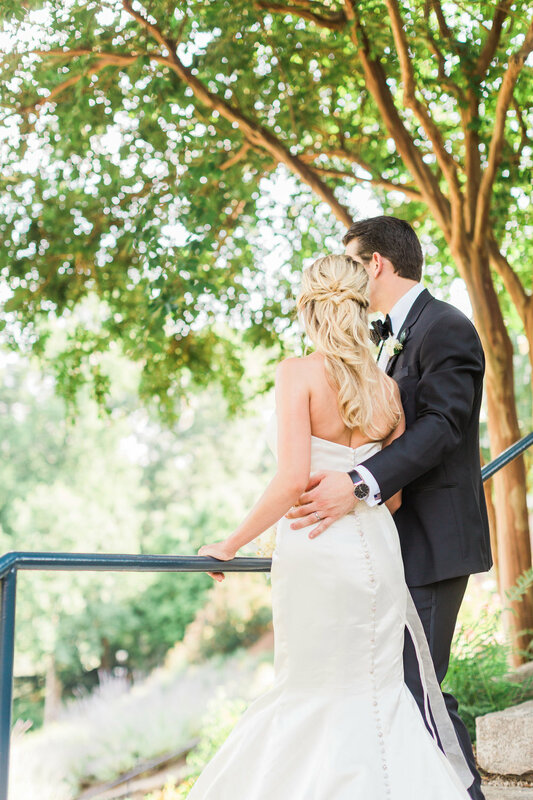 Sposa Bella's photos of Ashley & Josh's wedding day do just that. 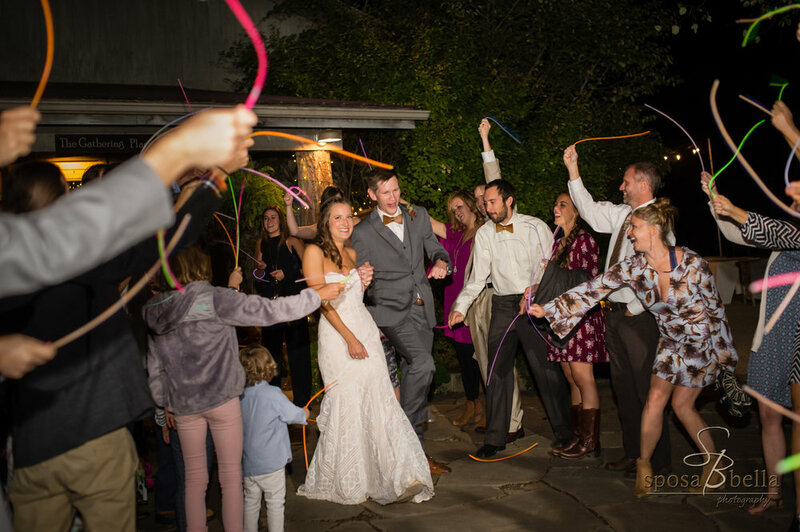 You can feel the beautiful October day in Candler, NC and you can see the love and happiness that seems engulf every shot. 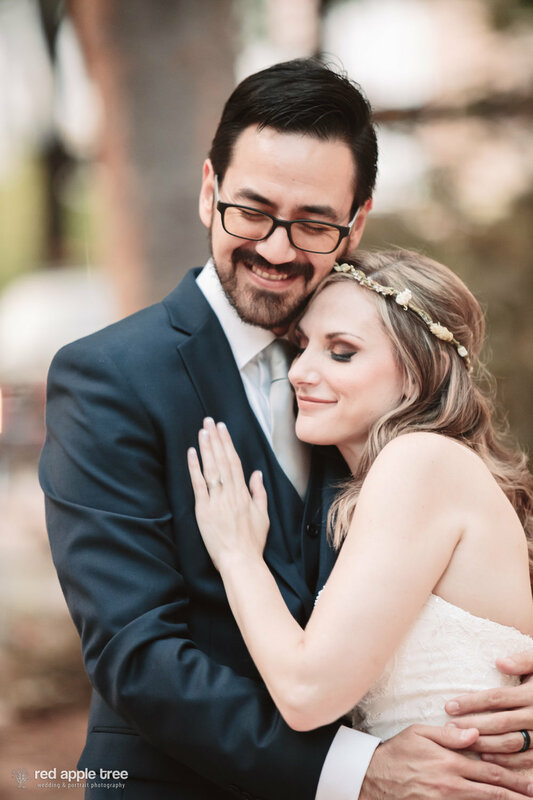 This awesome couple filled their day with elements that fit them to a tee. 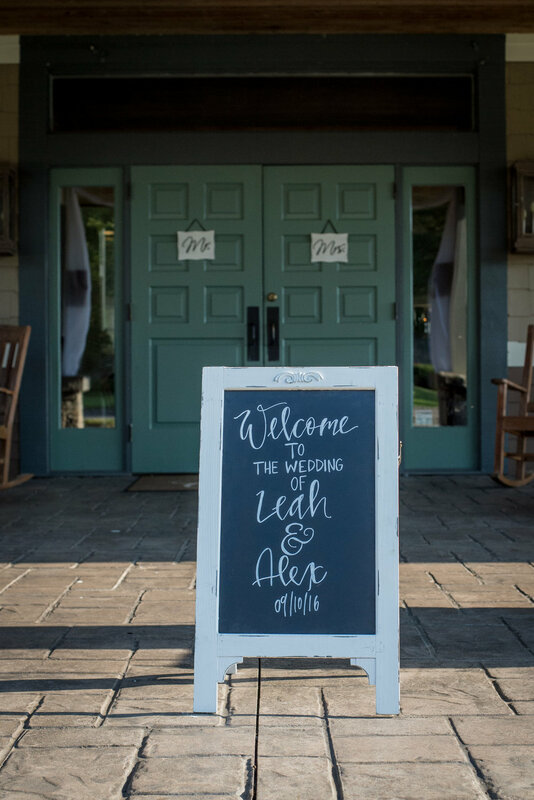 Take a scroll through and experience Ashley & Josh's wedding day at a Rustic Elegant Event Venue called The Farm. 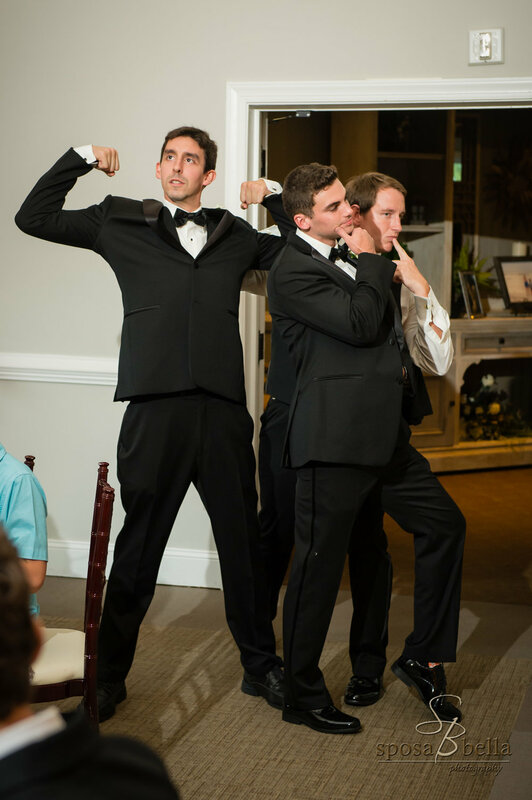 The Groom made these amazing wood bowties himself! Check out his Etsy shop here. 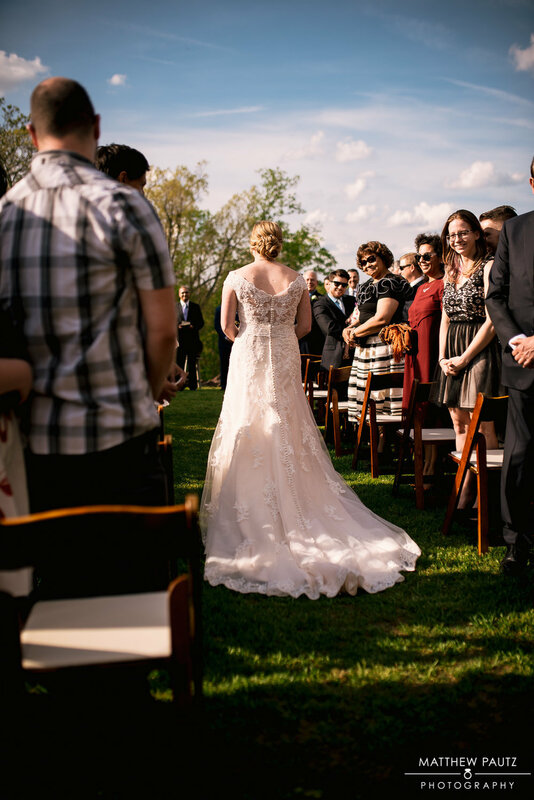 The Farm provided a beautiful backdrop for Ashley & Josh's first look! Can you say "wow"! 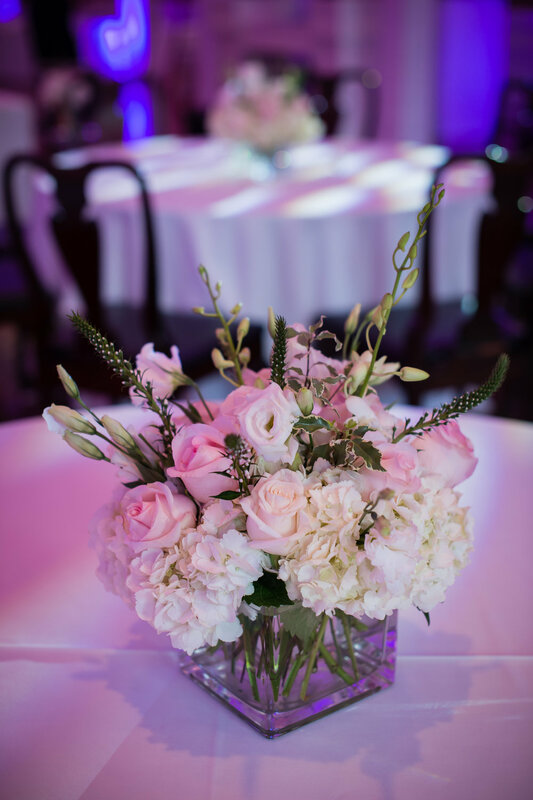 Adina with Frilly Bloomers incorporated bright and muted tones to create these beautiful bouquets that set the tone for this Fall wedding. What is a Fall day without Hot Apple Cider! 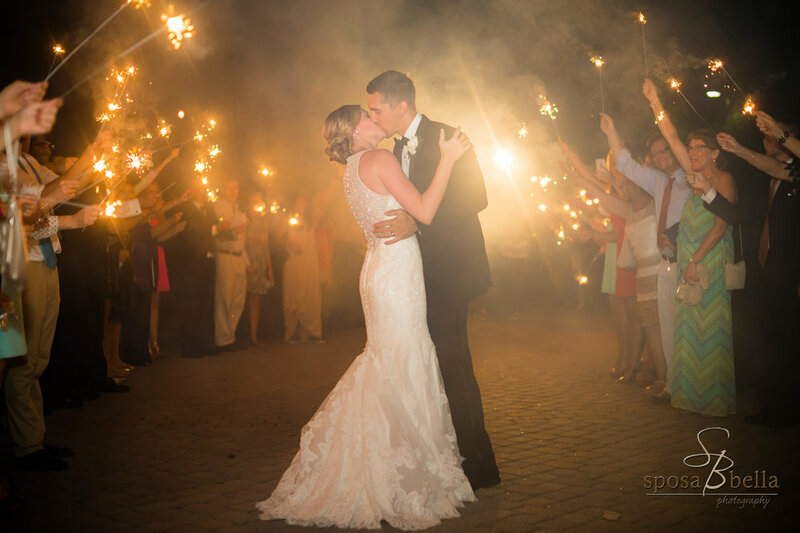 We love that Ashley & Josh had this preceremony delight to help keep guests warm. 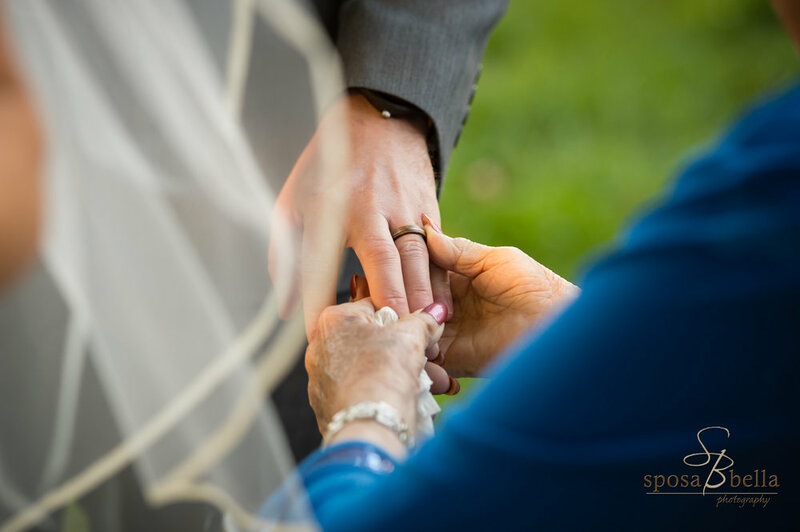 A beautiful moment captured as a Grandmother admires the Groom's new accessory. 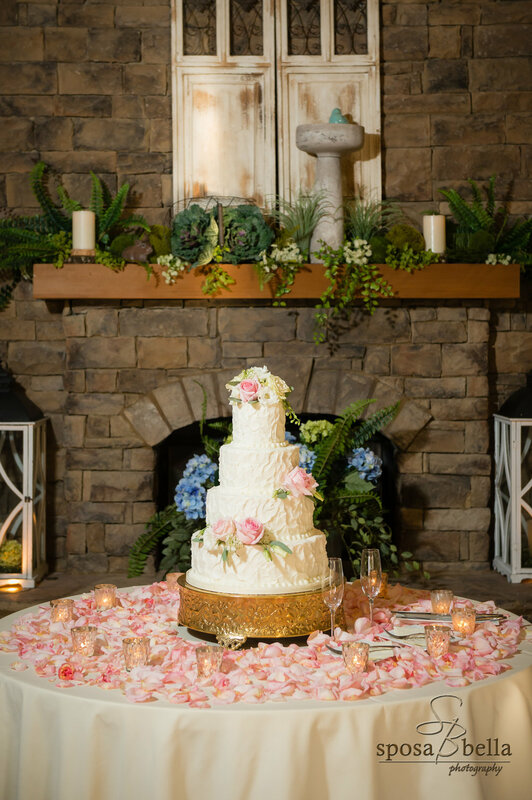 The Farm has inhouse catering services to provide couples unique food options that will delight their guests. 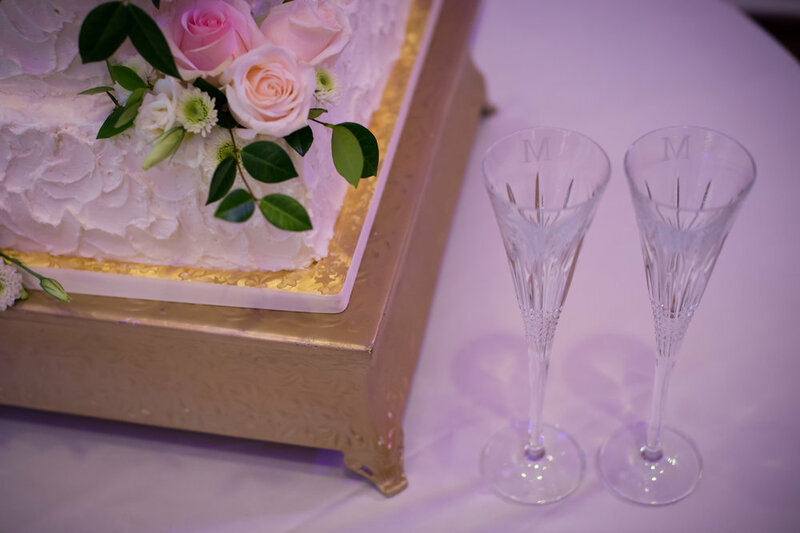 Signature cocktails are a great way to personalize your day. 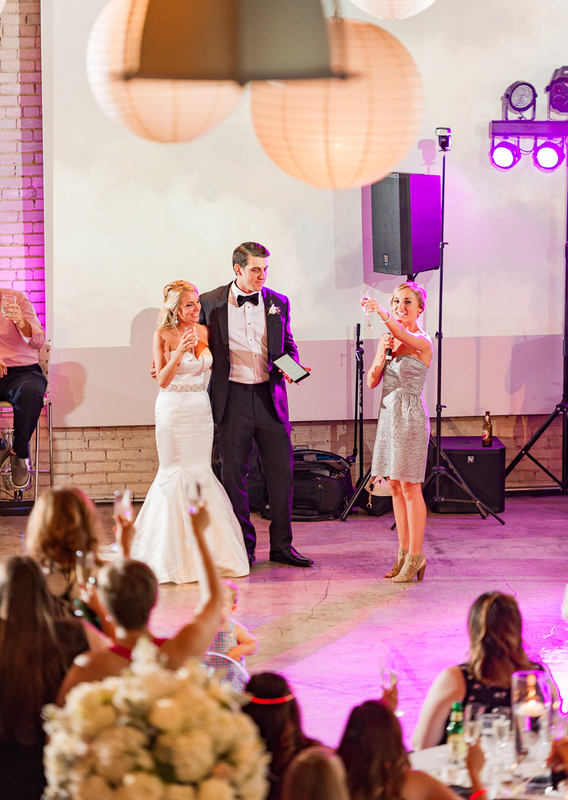 Ashley & Josh choose drinks that fit the theme of their day and sound delicious! A customized cake topper is a great way to incorporate your furbaby into th day when they are not able to be there personally. 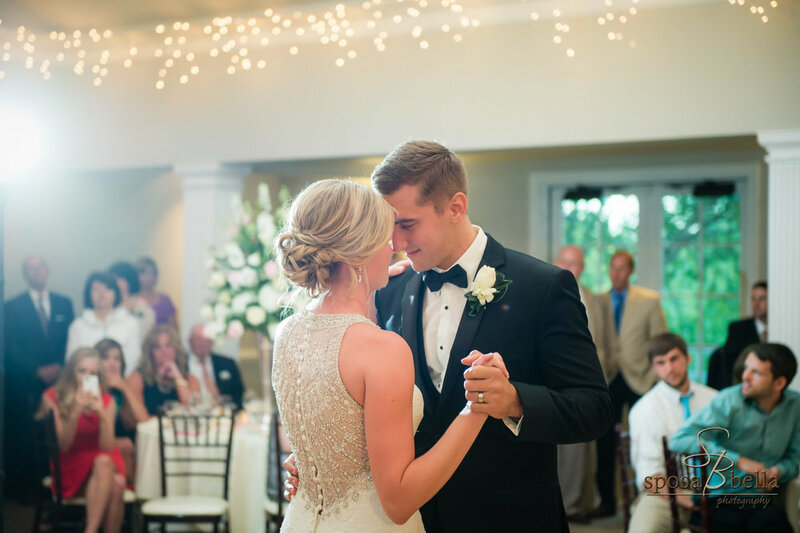 Ashley & Josh chose Taylor Swift's "You are In Love" for their first dance. 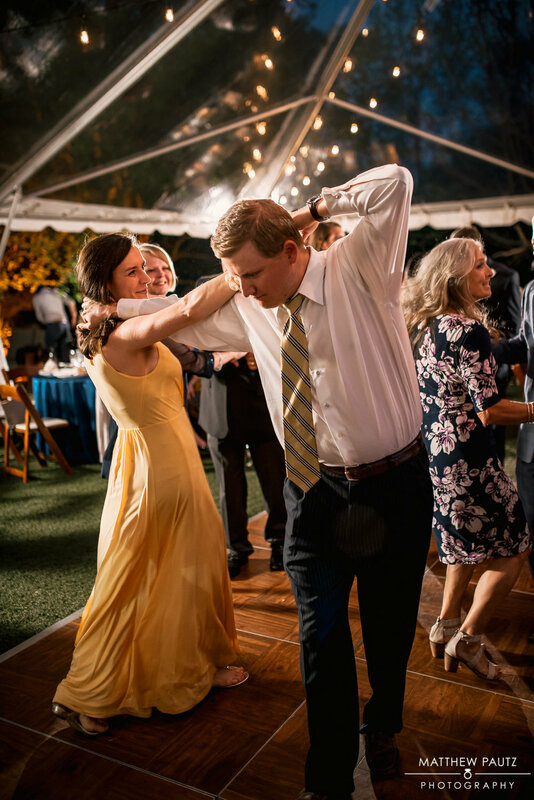 "All My Life" by the Beatles is a perfect track for a Father/Daughter dance. 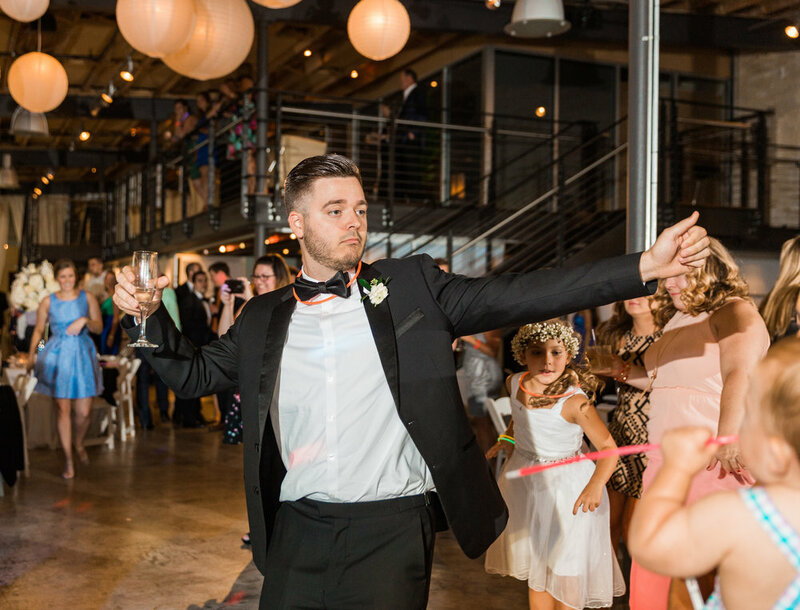 Josh asked to have "93 Million Miles" by Jason Mraz played as he danced with his mom. Beautiful song. 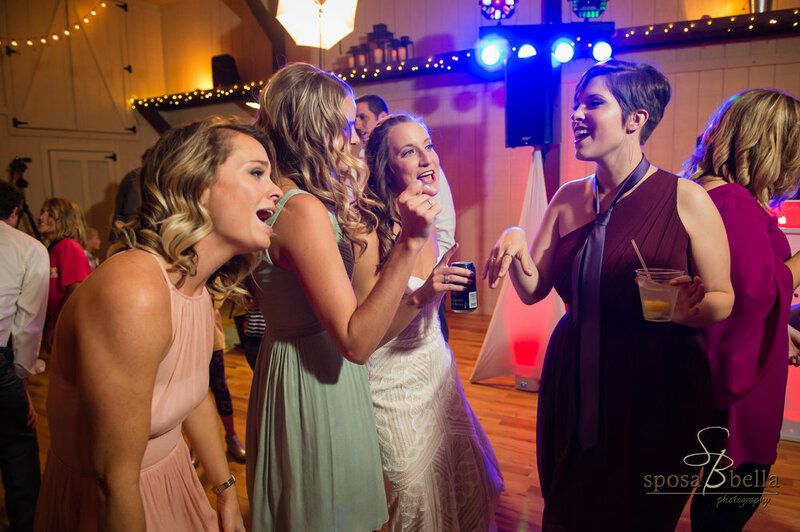 How could you not be out on the dance floor when you have Uptown Entertainment behind the DJ booth & a fun group like this! 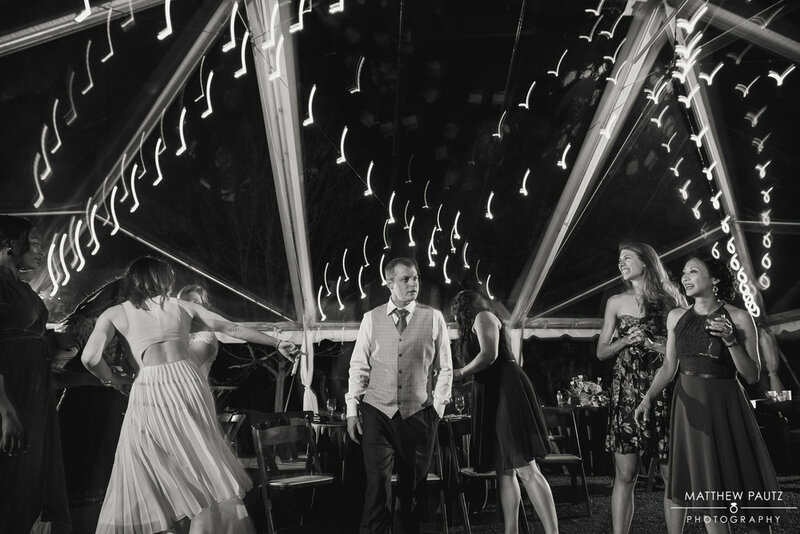 The Farm has a great indoor/outdoor feel that allows guests to flow through the event space all night. A cool October night + fire = a Smores Station! 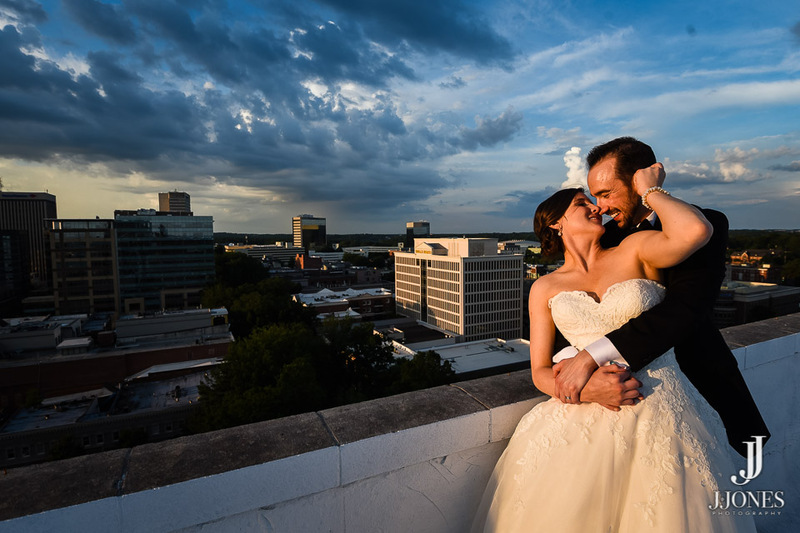 Thank you to Ashley & Josh for letting Uptown Entertainment be a part of your day!